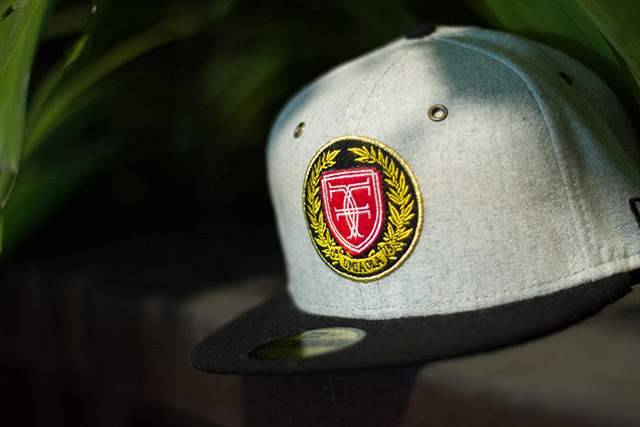 Releasing in-store and online this Saturday, October 31st at 11am HST. 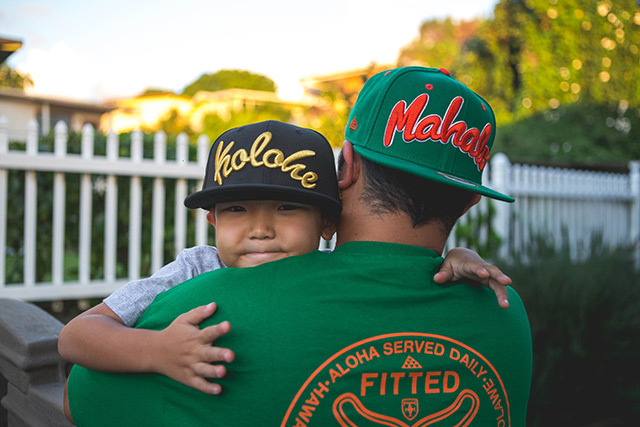 As the Umi A Ola collection draws to a close tomorrow, we’d like to once again sincerely mahalo everyone from the bottom of our hearts for all the support over these last 10 years. 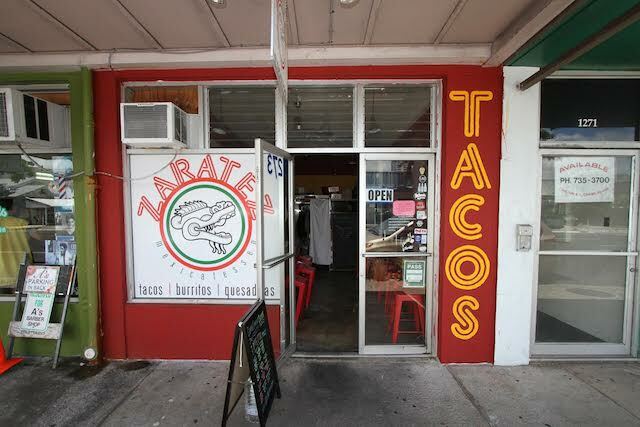 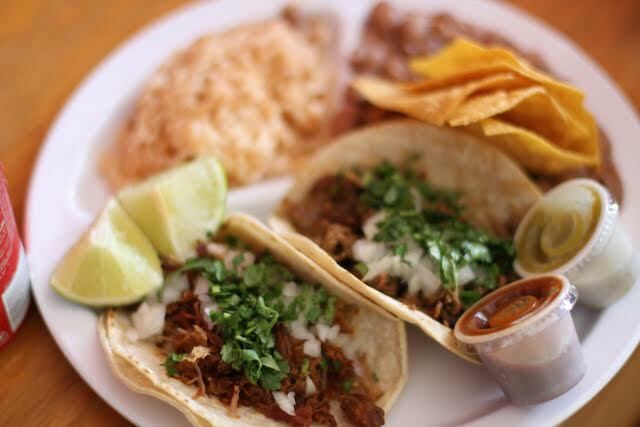 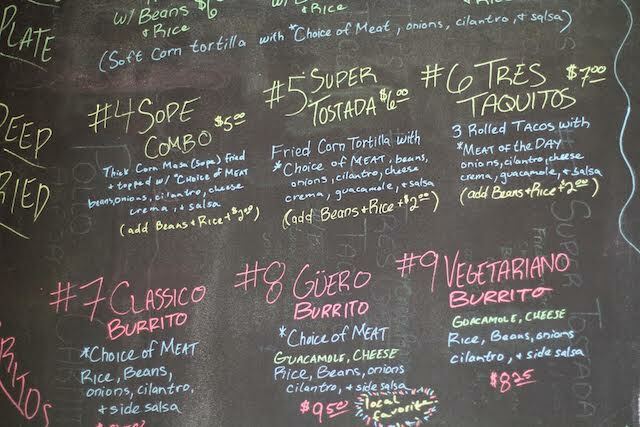 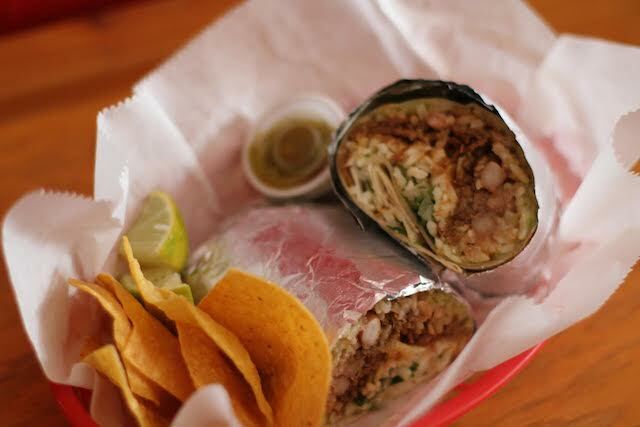 We mean it with the utmost honesty and gratitude when we say that we would not be here if it weren’t for the support of our customers, families, and friends. 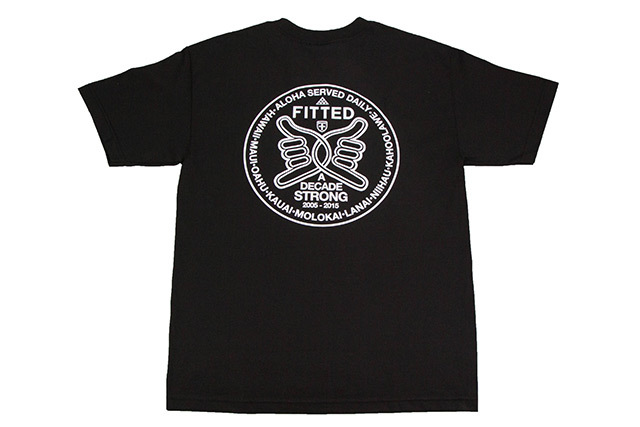 We’d also like to thank all the staff and friends that have entered our doors at any point along our journey and helped carry our brand to heights we’ve only dreamed of. 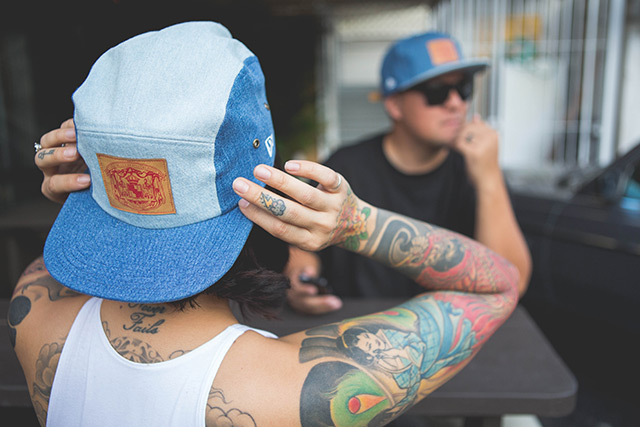 Although we’re just a small retailer that sells tangible goods, our pride comes from the stories told, shared, and discussed afterward. 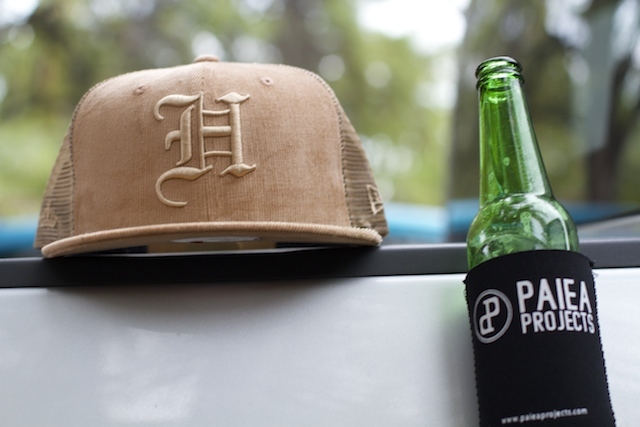 Knowing that our products spark a cultural awareness and forge interaction and friendship is the best feeling in the world to us. 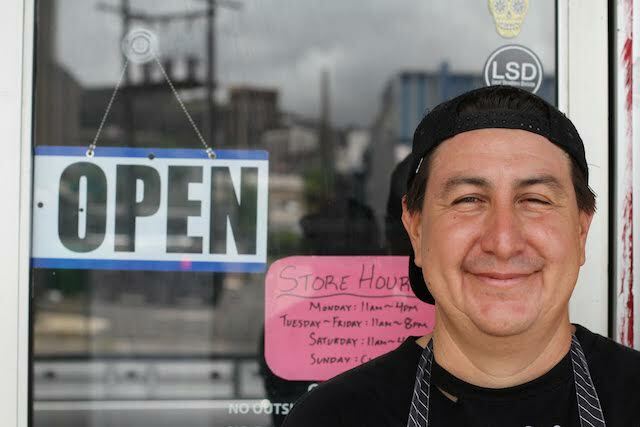 It is the main reason we keep doing what we do, and we couldn’t be more proud of that. 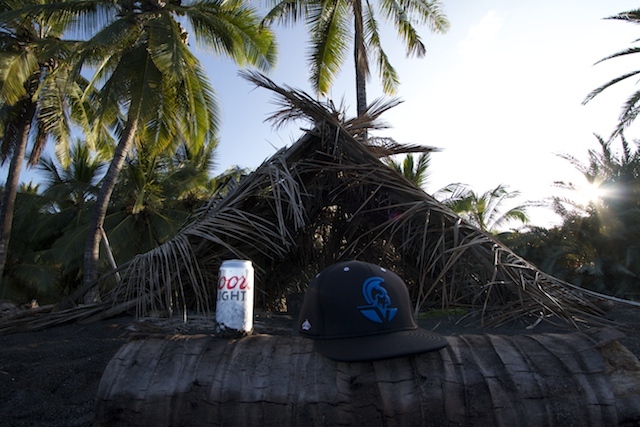 Now with this final release of our Umi A Ola collection, we bid a fond ALOHA to our first ten years and we E KOMO MAI the next ten and beyond. 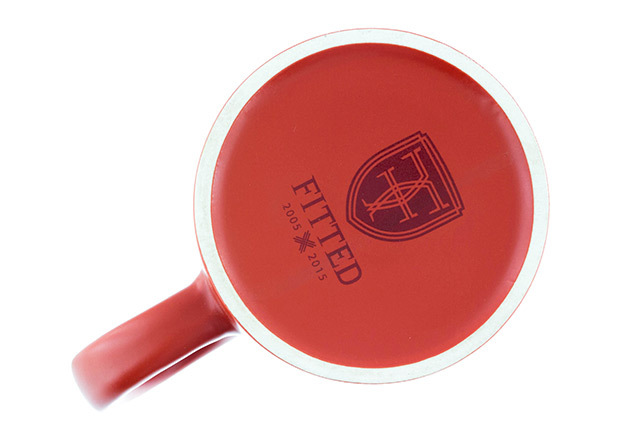 With our 10 year anniversary upon us, we not only graduated to a new representative color, we also took this opportunity to refresh our crest logo and FITTED logotype as well. 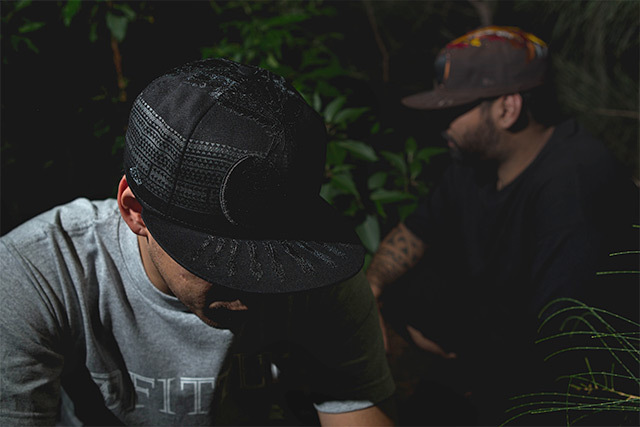 Like the Woven X pattern that we used throughout the collection, we felt a strong connection to the masterful art of weaving and wanted to incorporate that into our next evolution, through inspiration from makaloa and lauhala weaving. 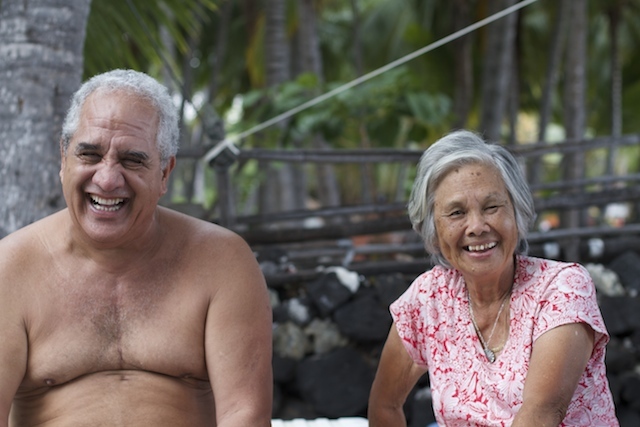 The central concept behind the woven inspiration is the sense of togetherness, ʻohana, and community—strong bonds woven together over time and almost impossible to break. 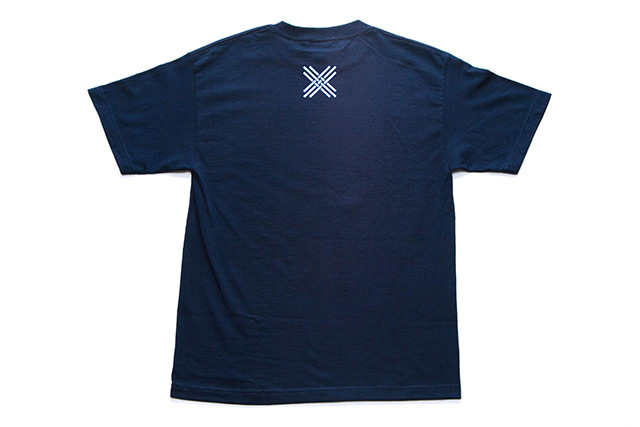 The new crest and logotype feature double lines, which act as an abstract reference to strands and weaving, with the crest lines overlapping and intersecting at various points. 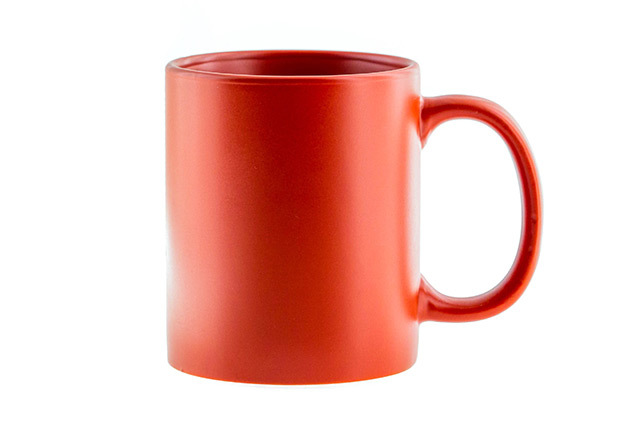 We also modified the typeface from sans serif to serif for an established and regal look, attributed to our long-standing reputation and brand history. What better way to round out the Umi A Ola collection than with one of our most popular releases (and arguably our most complex), dipped in all black and releasing on All Hallow’s Eve? 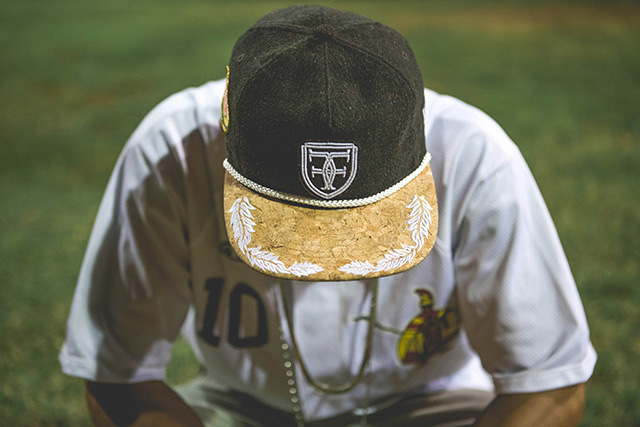 In modern Hawaiʻi, the familiarity of the makini helmet is undeniable—it’s seen on shirts, necklaces, and even hanging on rearview mirrors. 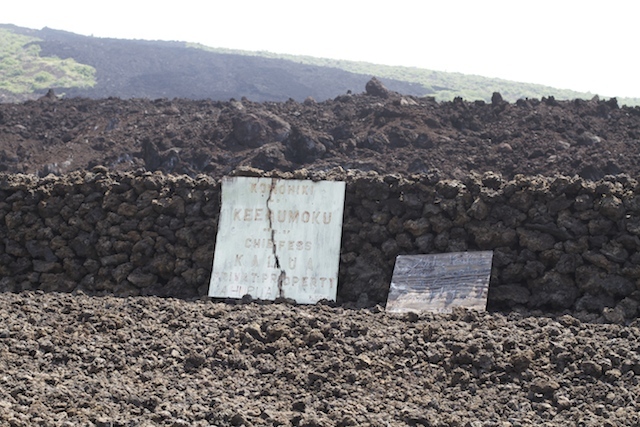 Through popular culture and the aforementioned items, the common theory is that makini helmets were worn by a secret group of warriors that protected the highest aliʻi. 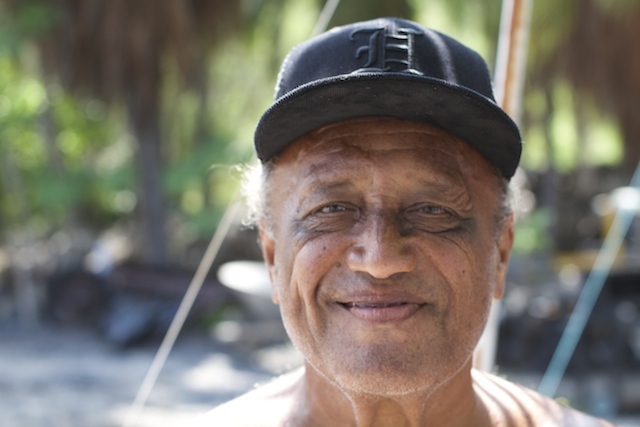 The lesser known yet logically sound theory involves the makini helmets being worn by moʻo Lono (Lono priests) to represent a time of peace or coming in contact with someone peacefully, and also worn during Lonoikamakahiki ceremonies. 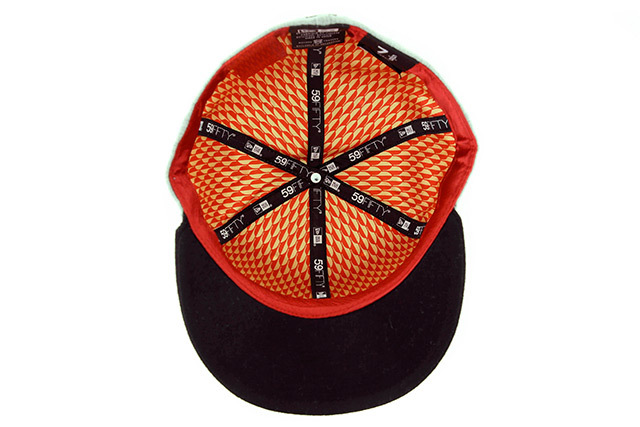 Flashback to 2008 when we released our original Makini 59FIFTY, which broke the mold of run-of-the-mill baseball caps and ignored the traditional embroidery placements and printing styles that came before it. 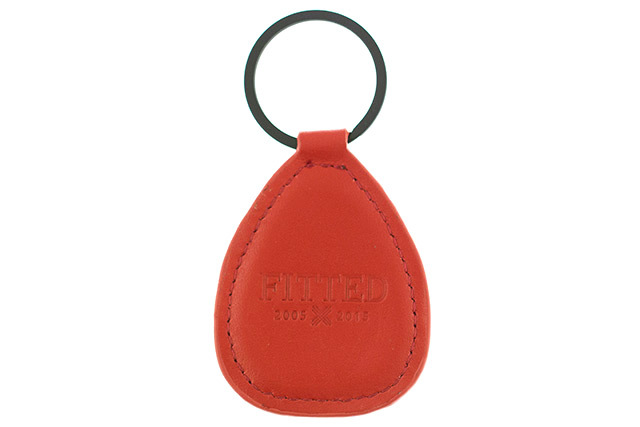 It was our most technically intricate piece to date, focusing many hours of design and development to get the details just right. 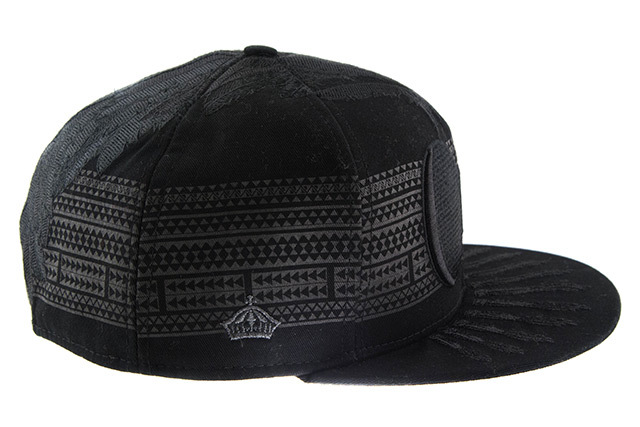 We’ve brought back all the same intricacies from the original: the detailed feather embroidery running from the front of the hat all the way to the back, gourd cut-out embroidery on the front, kapa embroidery on the visor, screen printed strength kāpala (print) around the entire crown, and the screen printed quote on the undervisor, which translates to “Unite to Move Forward.” Other details include our traditional crown, New Era, and crest embroideries around the hat, along with a black satin sweatband and new Hulu pattern on the inner satin liner, grayscaled to match the outside. A new lightweight build featuring 65% cotton and 35% polyester, this long sleeve tee also contains a hood to keep your head warm in the cooler months ahead. 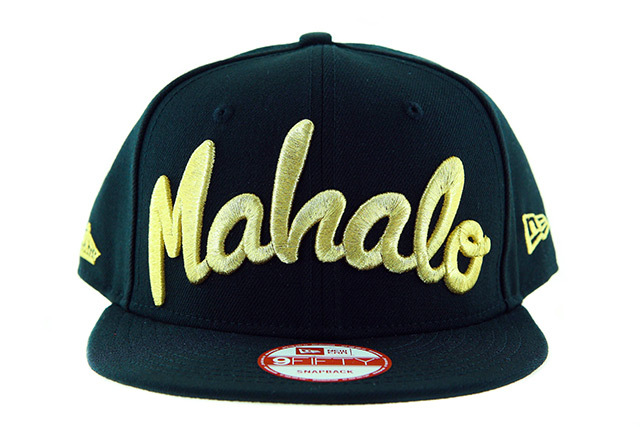 Our Mahalo logo is seen in yellow on the upper right chest, along with our new Hulu pattern flooding the outer sleeves. 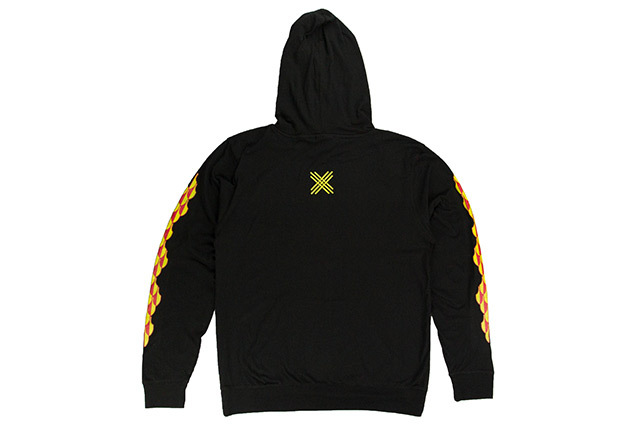 The woven X logo is printed in yellow on the upper back. 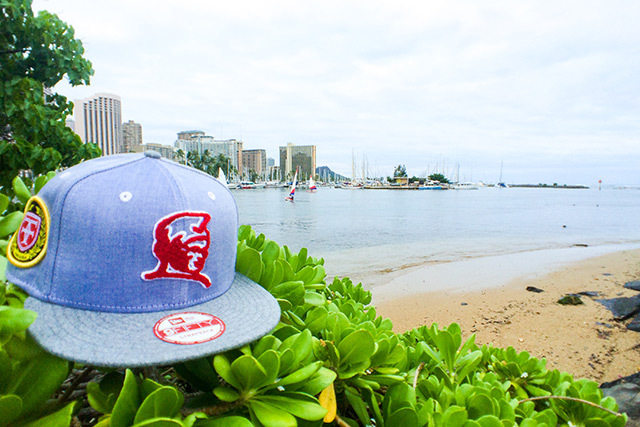 Releasing in-store and online this Tuesday, October 27th at 11am HST. 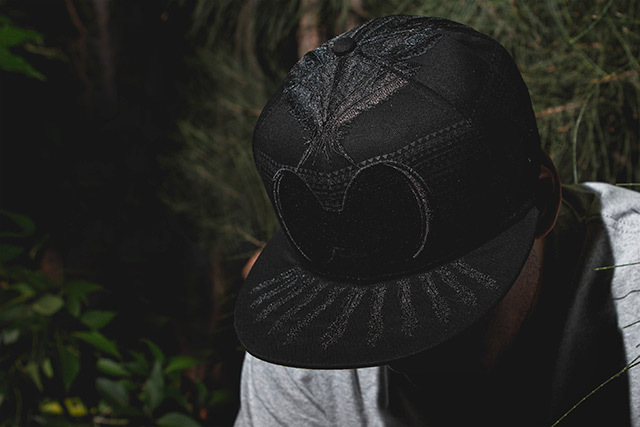 We continue celebrating our ten-year anniversary with our Umi A Ola collection, in which we aim to showcase our growth and dedication to our craft through use of premium materials and rich, timeless aesthetics. 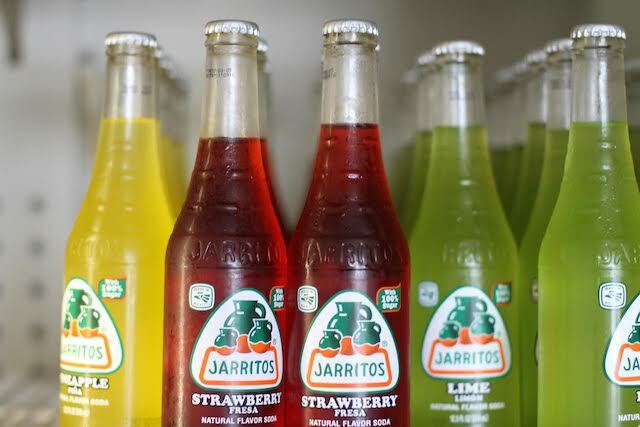 Also in line with our ten year anniversary, we’ve developed a new core branding package that helps mark this pivotal moment in our brand’s existence. 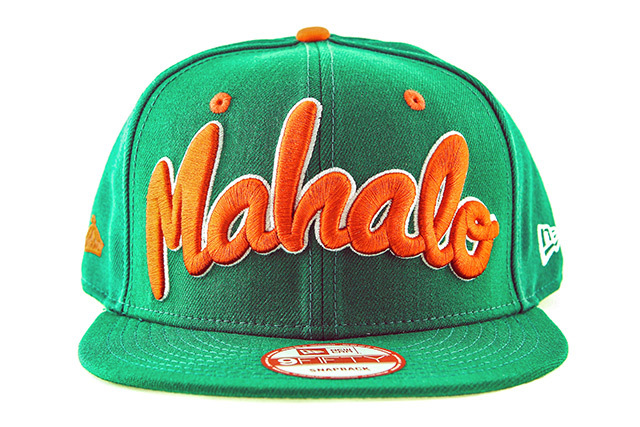 As we usher in the next phase of our journey, we want to mahalo everyone for their continued support. 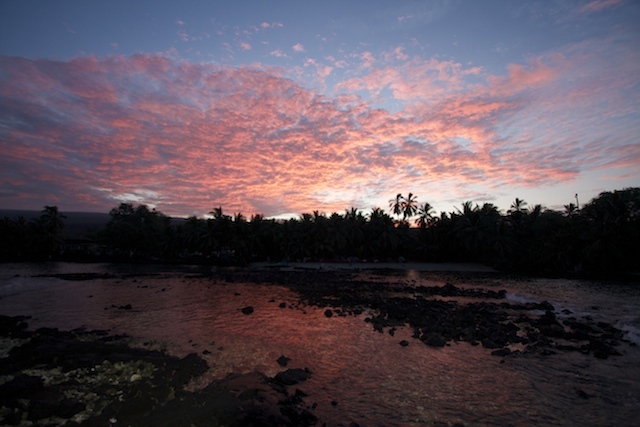 We humbly and truthfully feel that the ten (umi) years before us and the ten years ahead give us life (ola). 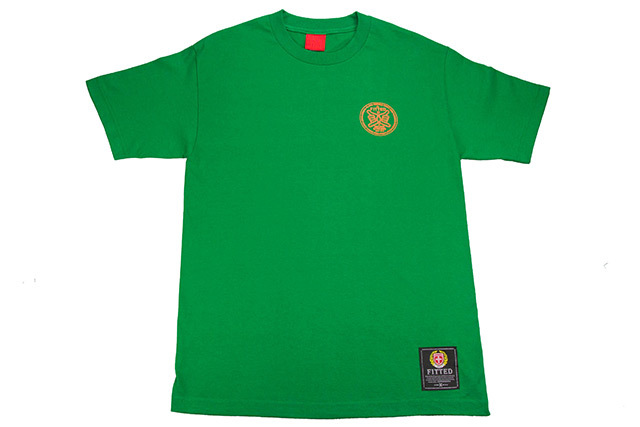 The first of a matching pair, named after the “Protect & Serve” tee from our archives. 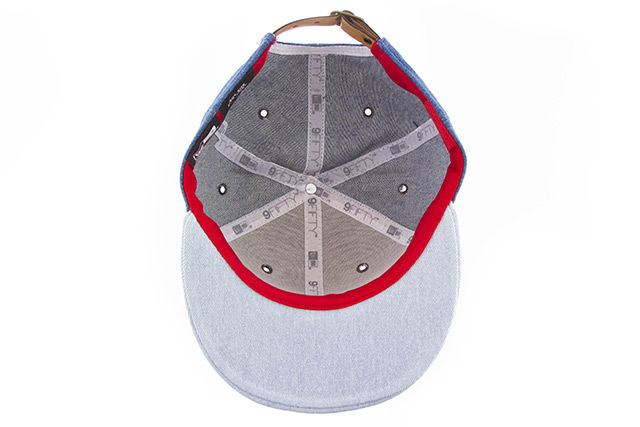 Blue denim serves as the base, with washed blue denim on the visor and top button. 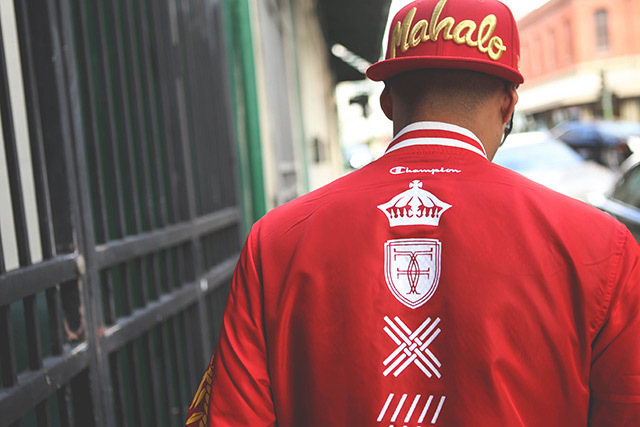 The front features a leather patch proudly displaying the Kingdom of Hawaiʻi Coat of Arms in red. 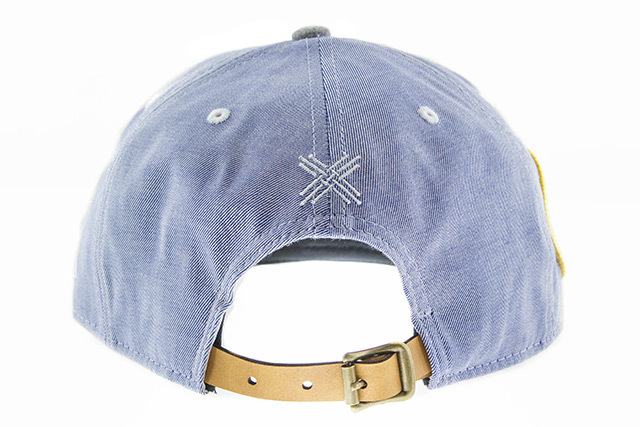 A leather strap is found around back with a brass buckle, which matches the brass eyelets on all panels. 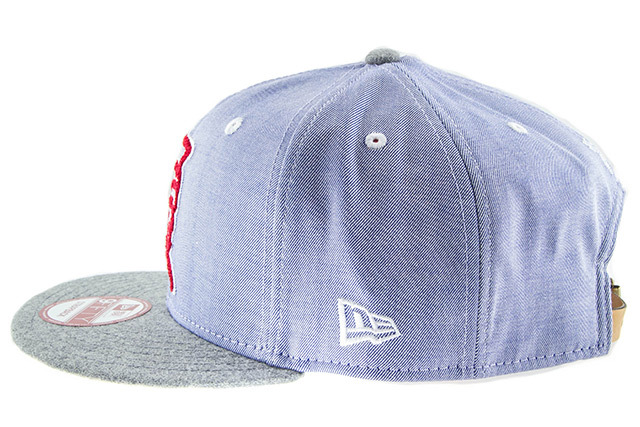 The side crown, New Era logo, and woven X logo have been screen printed onto the denim in white rather than traditional stitching. 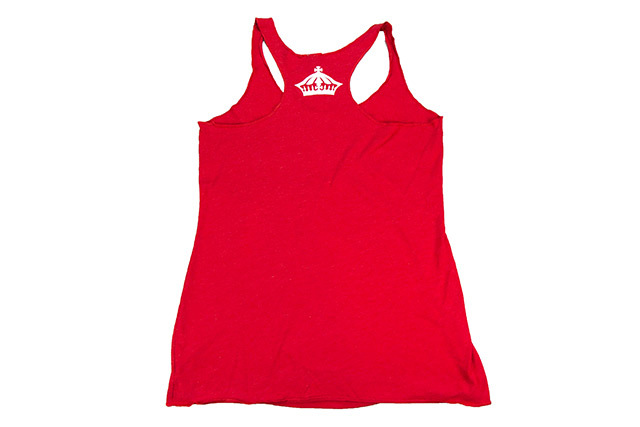 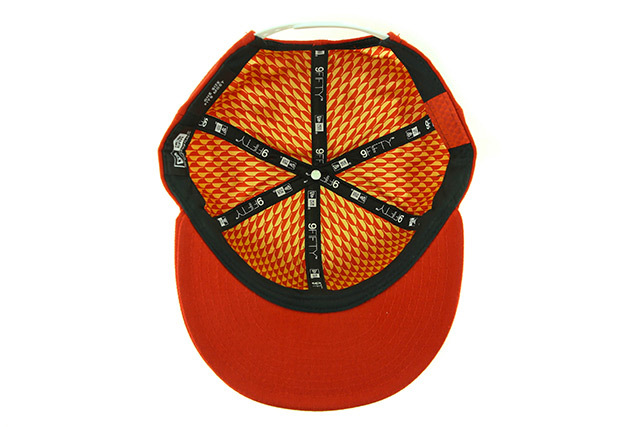 It also features a red inner sweat band that helps accentuate the whole piece. 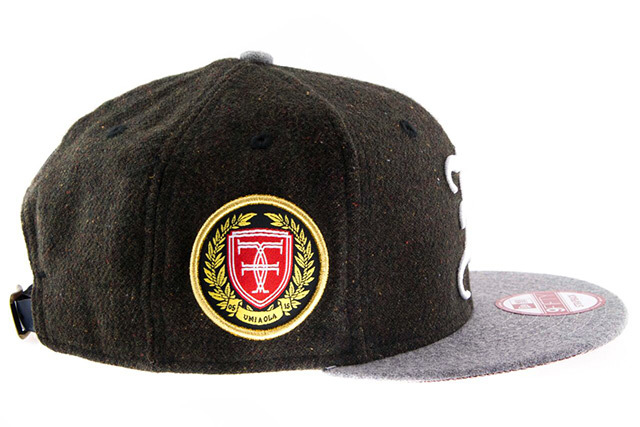 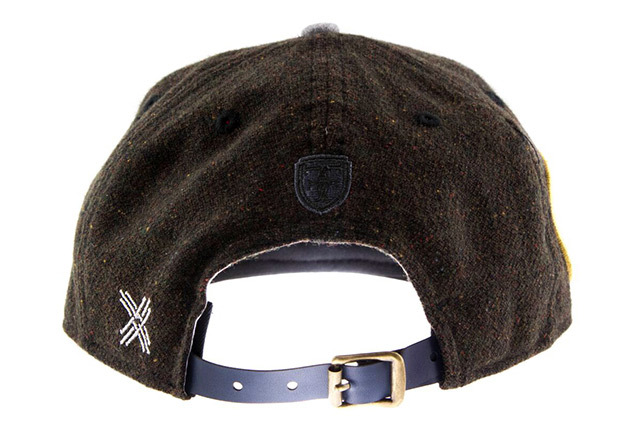 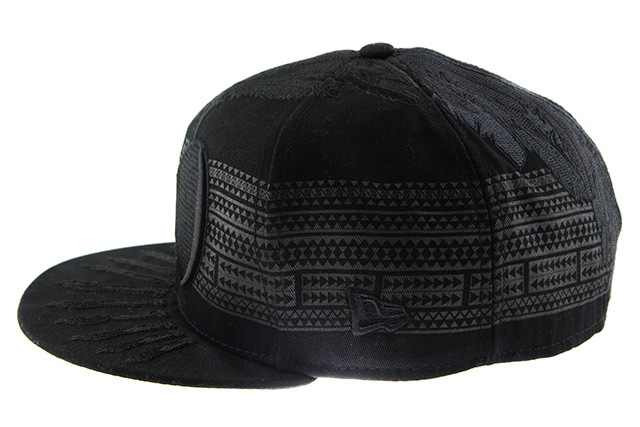 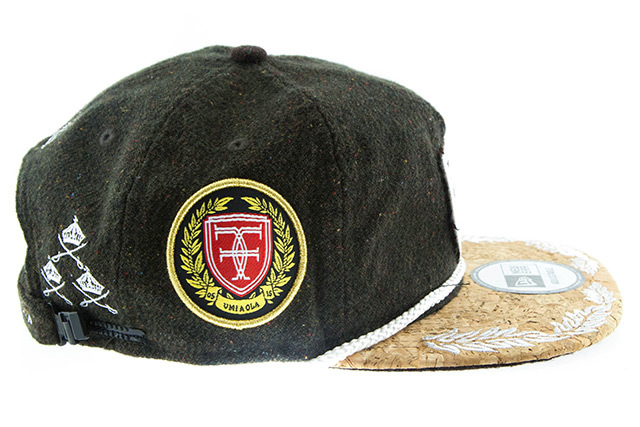 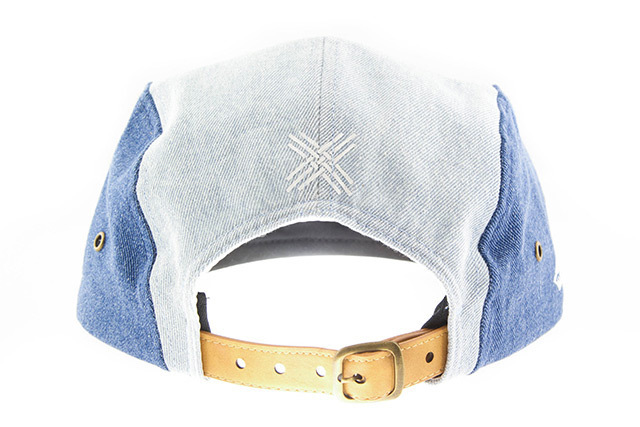 The second of the matching pair, which compliments the Protect Strapback perfectly. 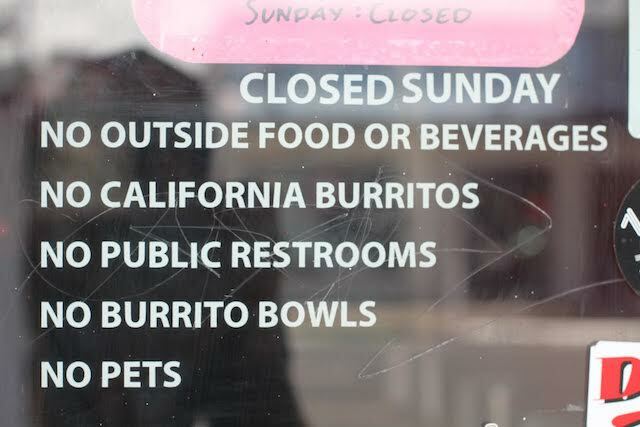 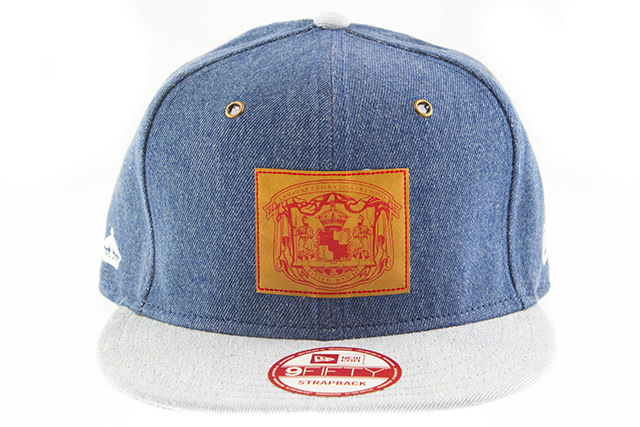 It features a nice distribution of blue denim and washed denim all around. 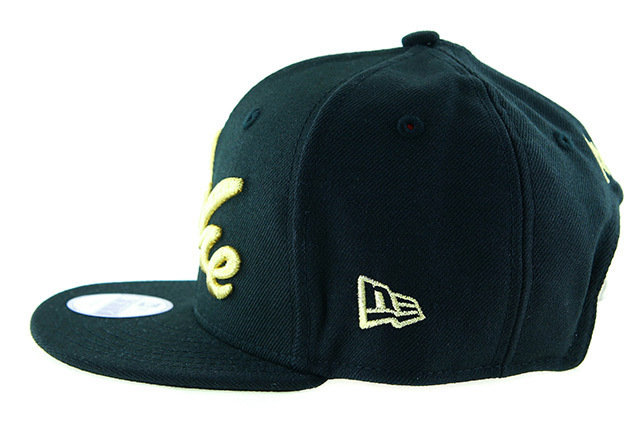 It also features the same front leather patch, brass eyelets and buckle, leather strap, and white screen printed logos. 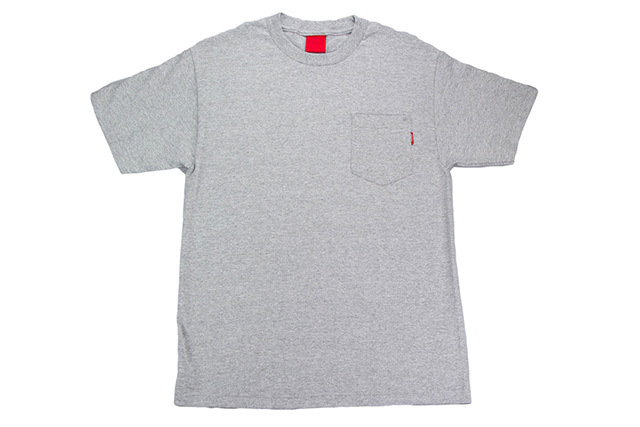 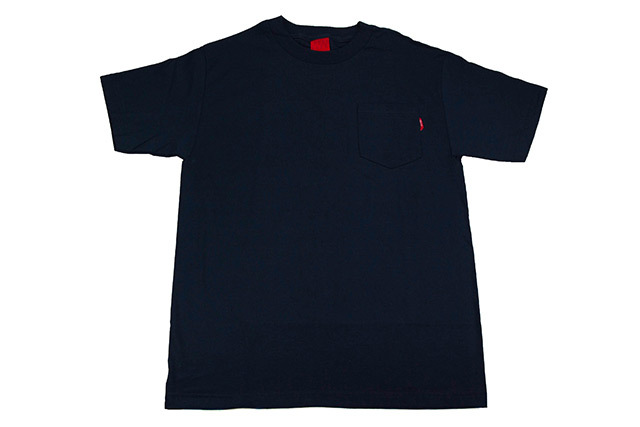 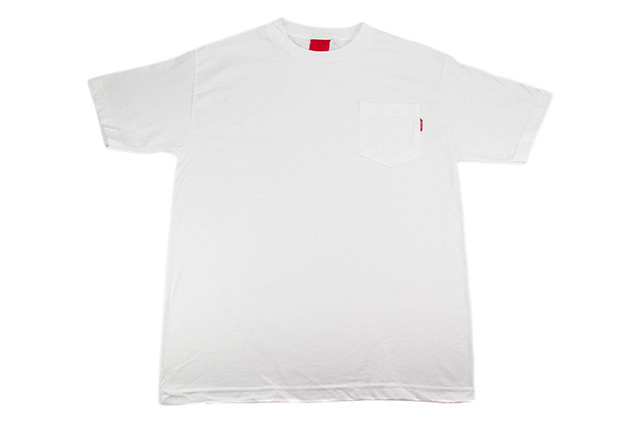 A clean and simple pocket tee featuring a small red logo label attached to the pocket. 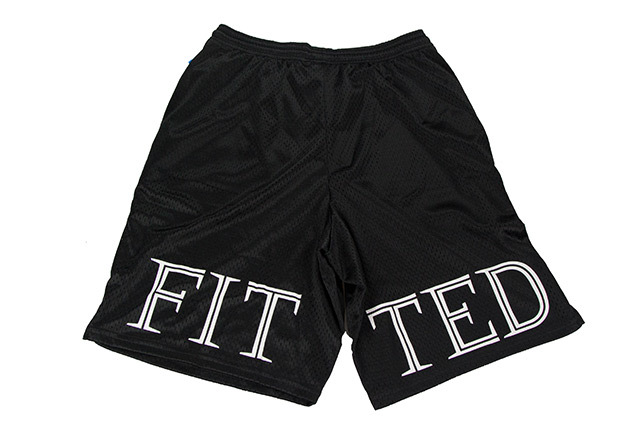 A must for any wardrobe. 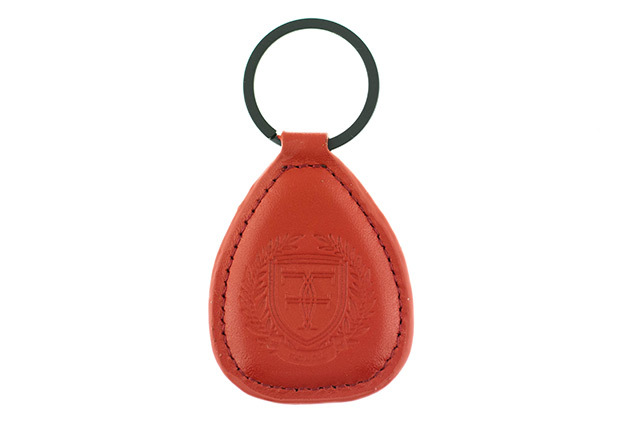 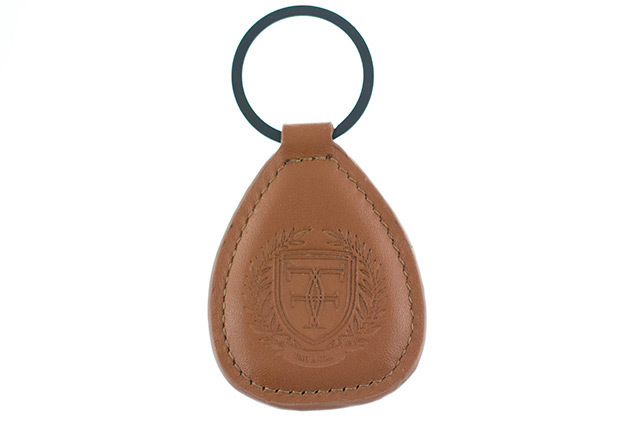 Continuing our use of premium materials, we created a teardrop keychain made of 100% genuine leather. 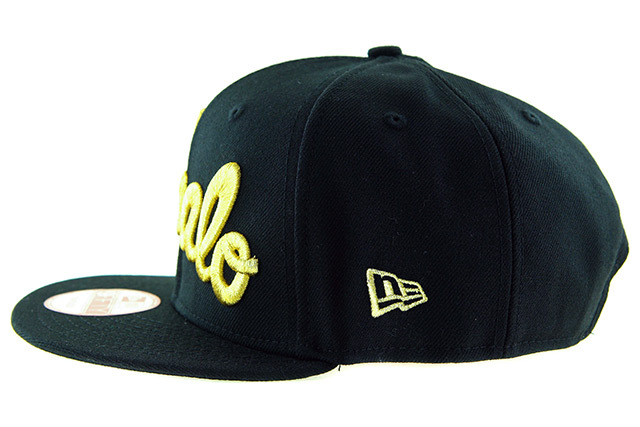 It features a debossed 10 year crest and maile wreath on one side, with FITTED and the decade years on the other. 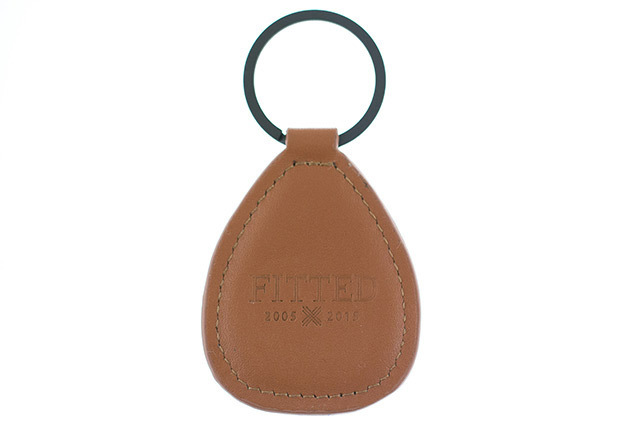 It comes with a dark gray ring but also includes a bronze ring option as well. 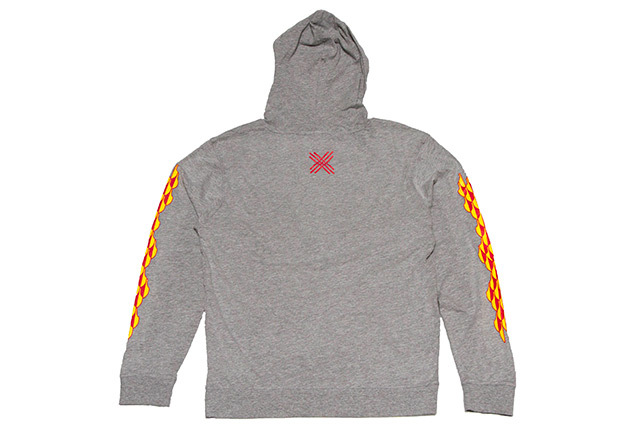 Releasing in-store and online this Saturday, October 24th at 11am HST. 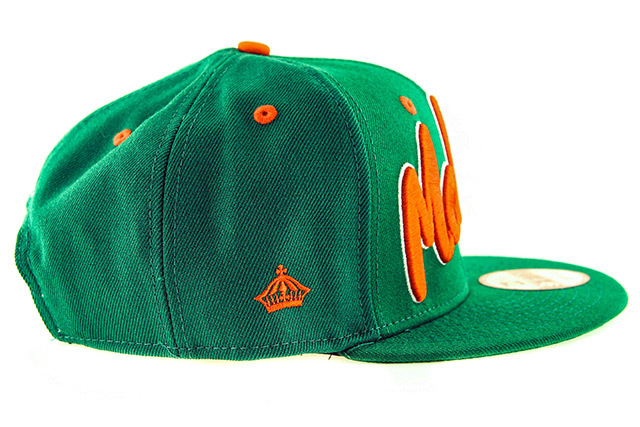 One of the other original designs and colorways we released was a green H Pride featuring orange and white accents, which drew heavy inspiration from the classic UH baseball teams during the Murakami era. 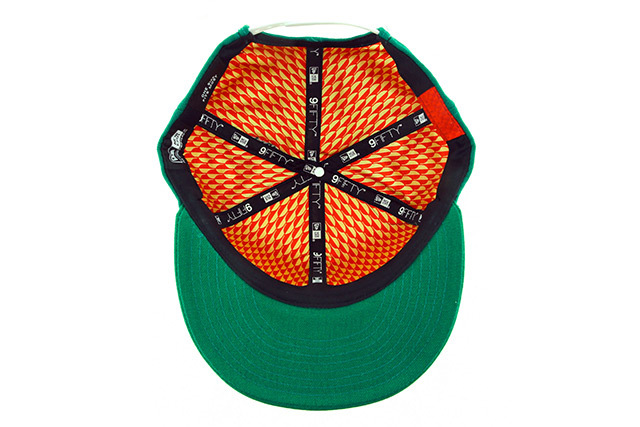 When we hit 5 years, we released an Aloha 59FIFTY featuring the same color blocking but with an inner lining that carried over the 5 year theme. 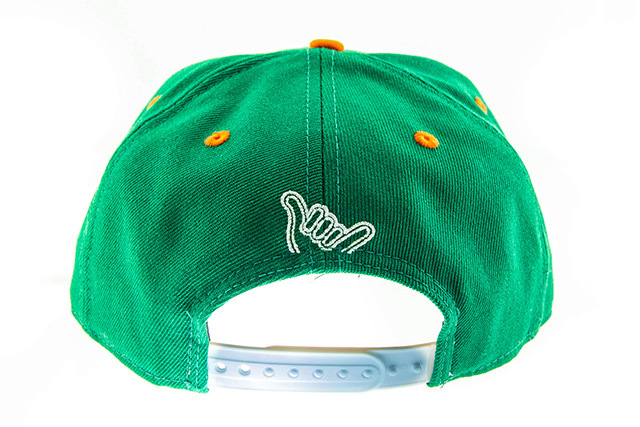 This time around, we are using the Mahalo design with the same green, orange, and white color blocking scheme, but with the new Hulu pattern from our Umi A Ola collection lining the inside. 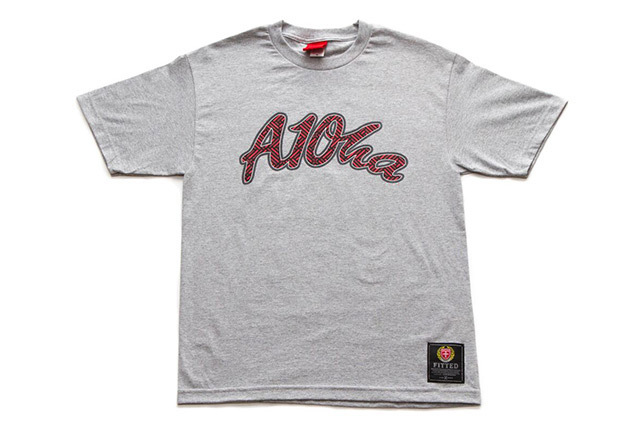 A special design just for the keiki with the front design written in the same style as our popular Aloha and Mahalo designs. 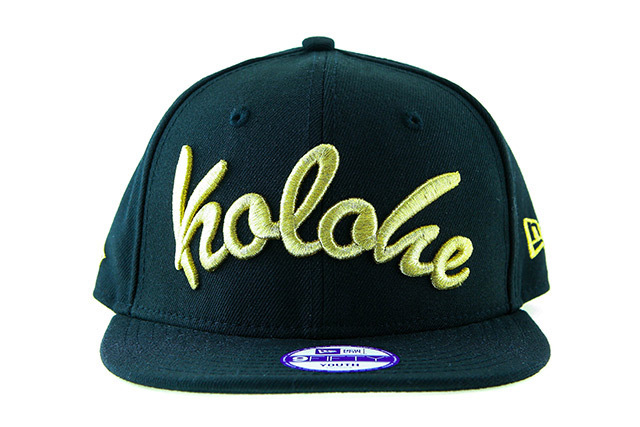 It mimics the black and gold Mahalo from last week, but switched up with the word Kolohe, which means “naughty” or “rascal” in Hawaiian. 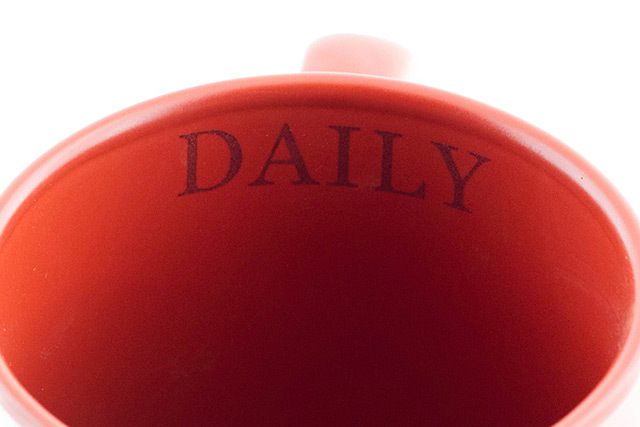 It also includes the same Hulu pattern lined on the inside. 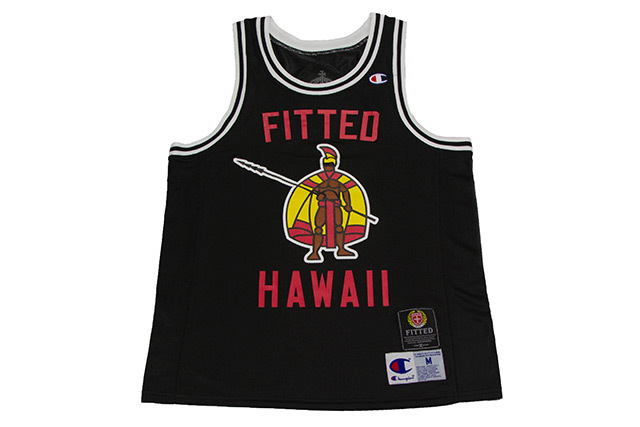 Our next installment in the Champion collaboration set includes a basketball jersey featuring a large print of Kākuhihewa along with FITTED HAWAII in the center, with our 10 year patch and Champion’s patches on the bottom left. A small “C” logo is embroidered on the wearer’s left chest area near the collar. 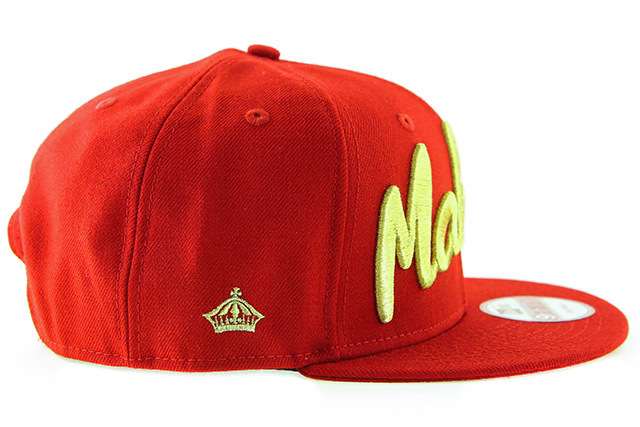 The back features our crown and the number 10 in a red and yellow block in the upper center. 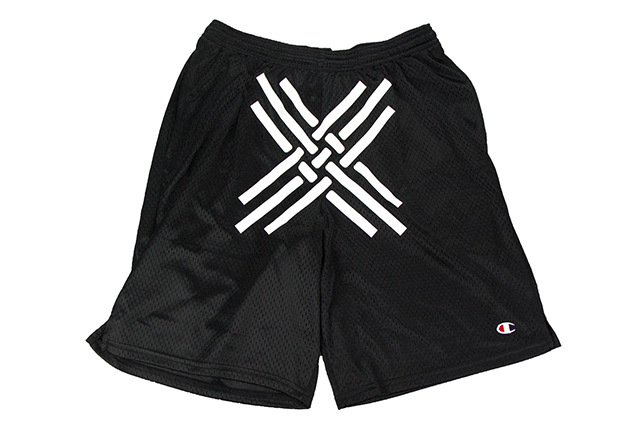 Accompanying the jersey are a set of active mesh shorts in black and white. 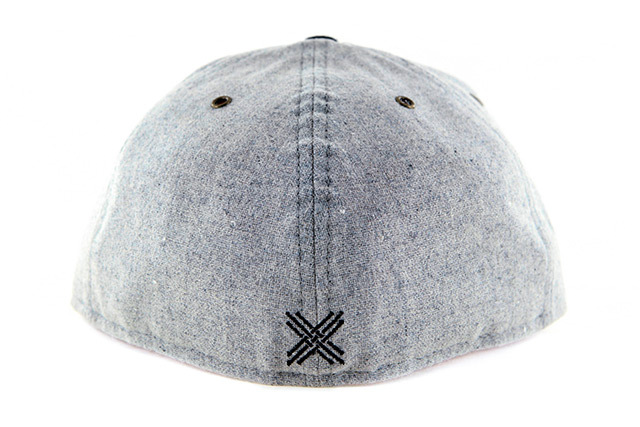 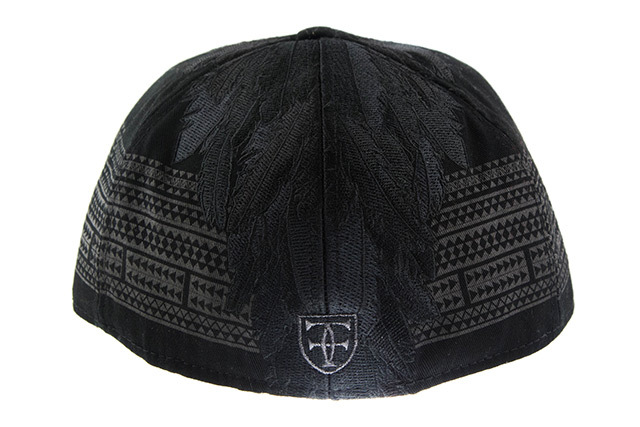 It features a small “C” logo appliqué on the bottom left, along with a large woven X logo printed front and center. 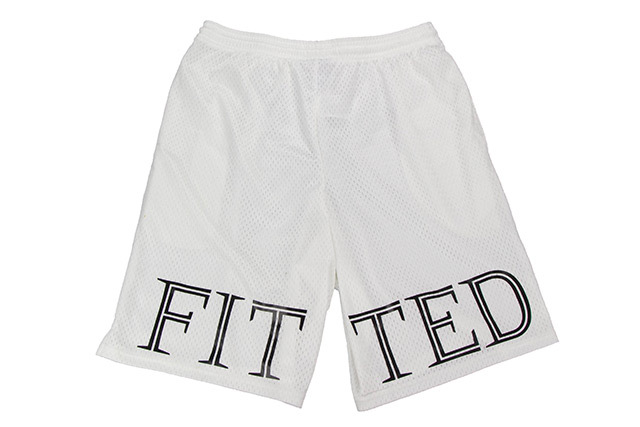 Our new FITTED logotype makes an appearance on the back of the shorts, running across the the bottom hem. 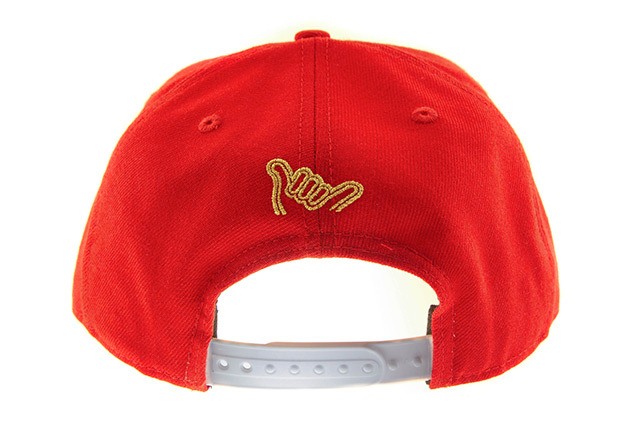 This new design celebrates 10 years with two shakas interlocking to create an X shape, surrounded by our branding, all eight Hawaiian Islands, and a declaration of “A Decade Strong, 2005–2015.” It features a large 10 Shakas design on the back with a smaller version on the upper left chest. 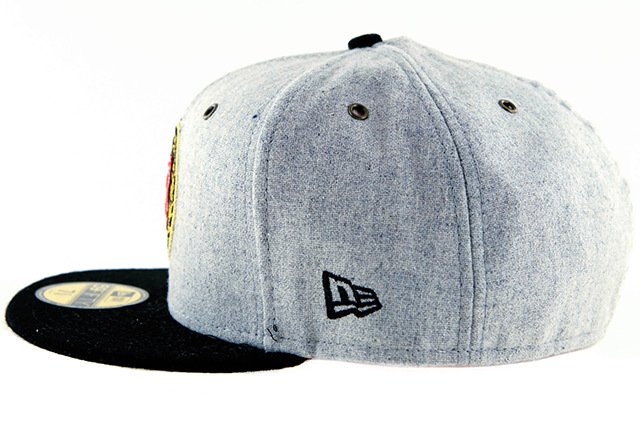 It also features the 10 Year patch on the bottom left. 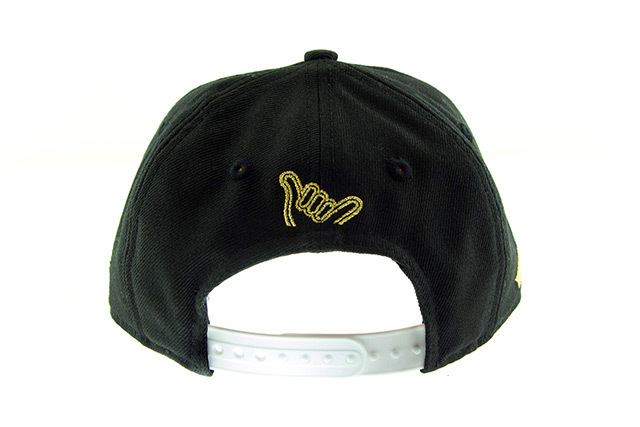 A unique mash-up of our woven X logo and a heart to create the “O” shape in “ALOHA.” The back features our traditional crown on the upper back. 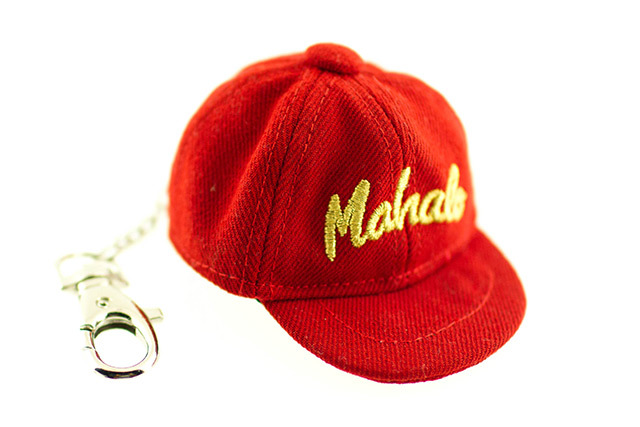 To coincide with the release of the Mahalo snapback, we will also be releasing a miniature version as a 59FIFTY keychain, complete with New Era taping and our new red FITTED tags on the inside. 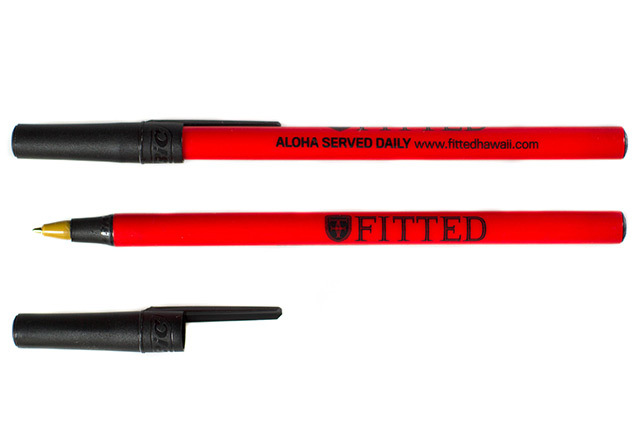 Releasing in-store and online this Tuesday, October 20th at 11am HST. 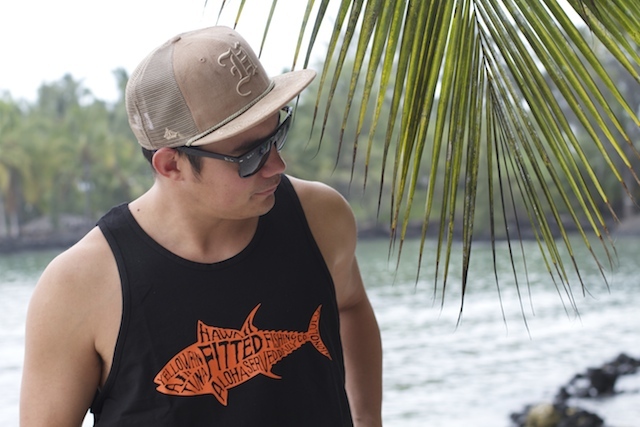 To help epitomize the long-lasting and established feel of the Umi A Ola Collection, we utilized a brand new silhouette that held the desired characteristics. 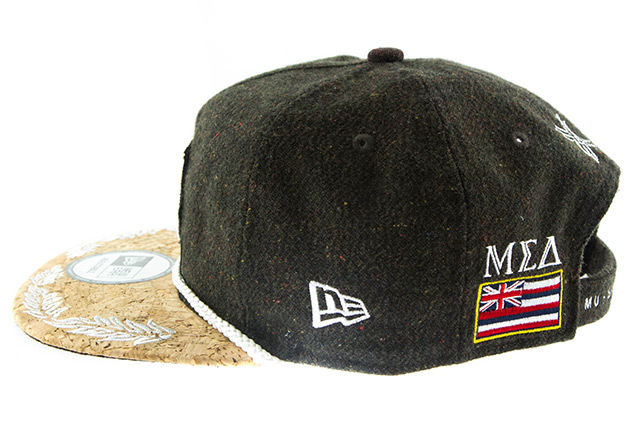 It features a soft brown multi-spec wool/poly crown and undervisor along with a cork visor emblazoned with maile leaves around the edges. 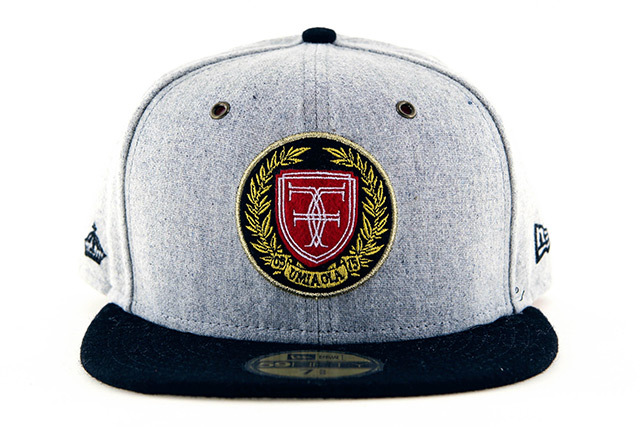 The new crest logo is proudly displayed on the front while the Umi A Ola patch makes its home on the right side. 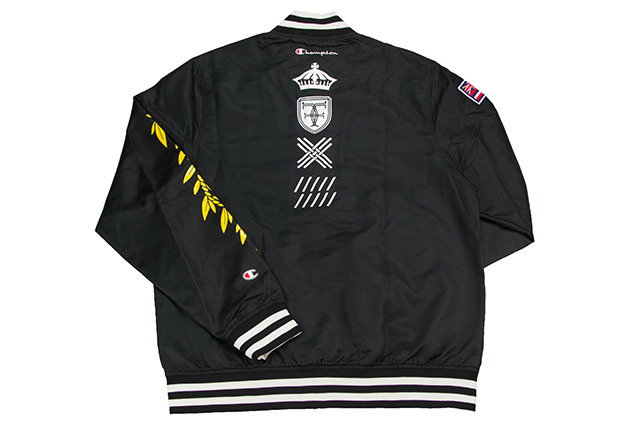 Around the back, we have a multitude of details including a Hawaiian flag with Mu Sigma Delta in Greek above, the woven X logo at the top center, and three instances of our crowns and crossed swords. 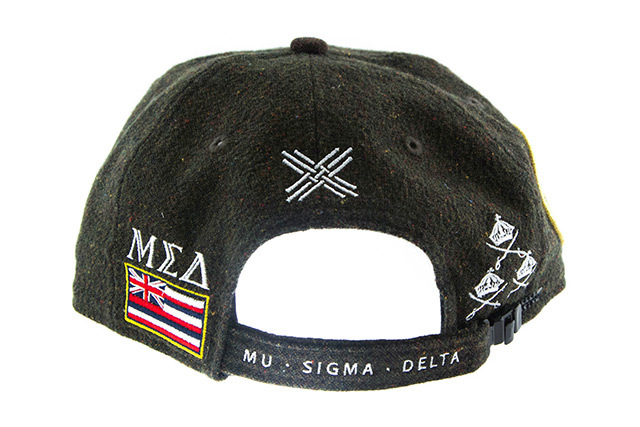 Another highlight is the slider enclosure featuring the words Mu • Sigma • Delta. 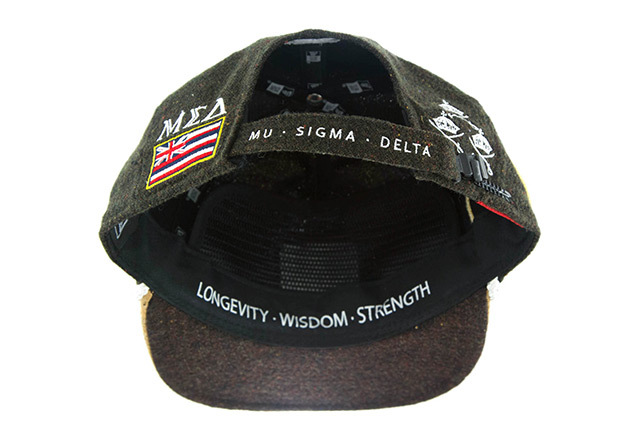 On the inner sweatband, the words Longevity • Wisdom • Strength are written across the front. 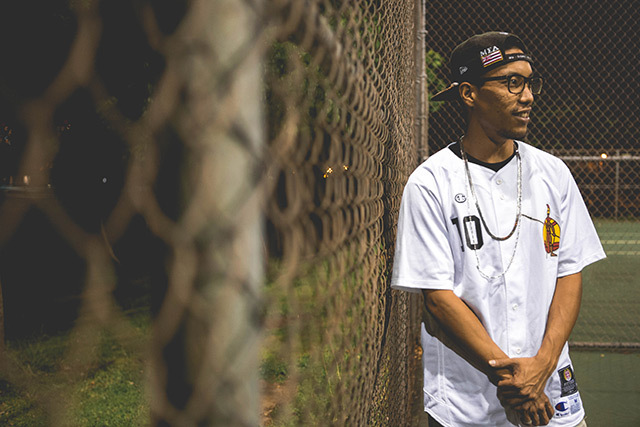 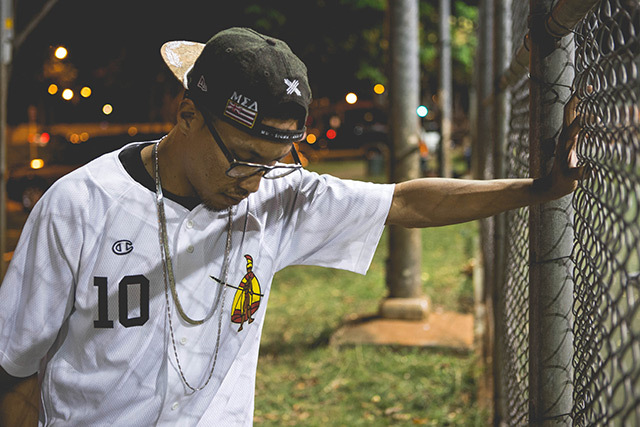 The second piece from our collaboration with Champion is a white, 100% polyester button-up baseball jersey. 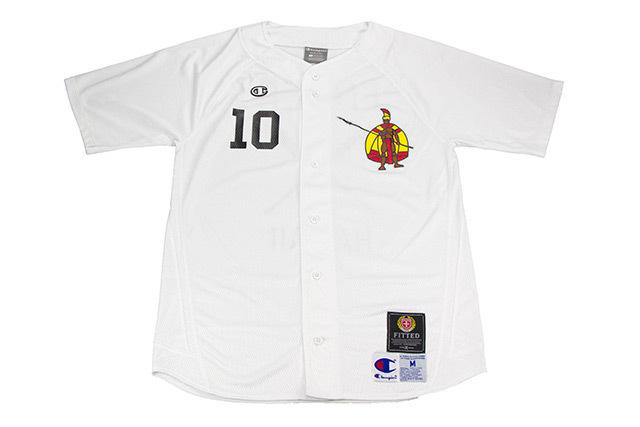 It features a reflective “C” logo stitched on the front chest, along with the number 10 and Kākuhihewa, the 15th ruling chief of Oʻahu, printed on the right and left chest areas, respectively. Our 10 year patch sits at the bottom front above the Champion and size patches. 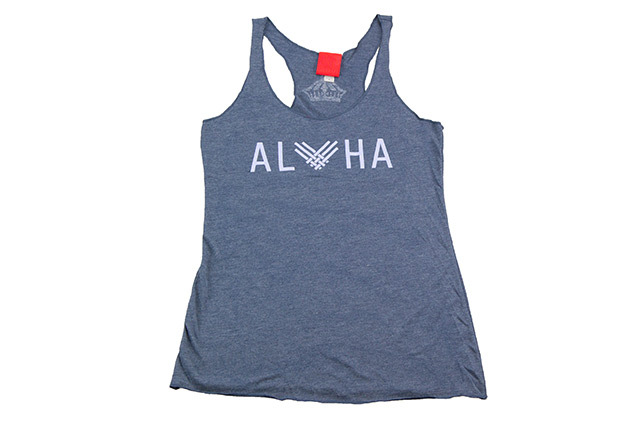 The back features FITTED HAWAII with two crossed pololū (spears) printed in the center. 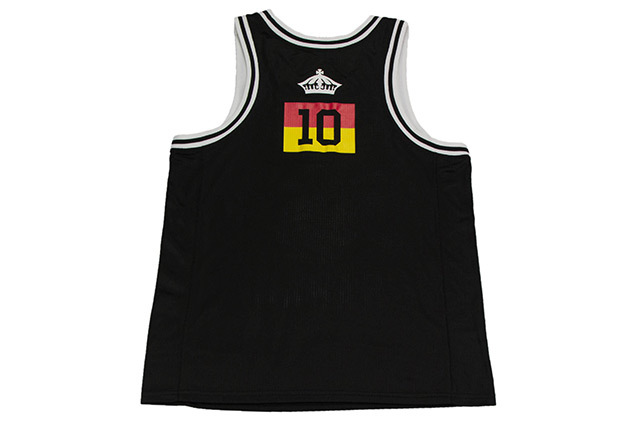 This jersey will be an online exclusive. 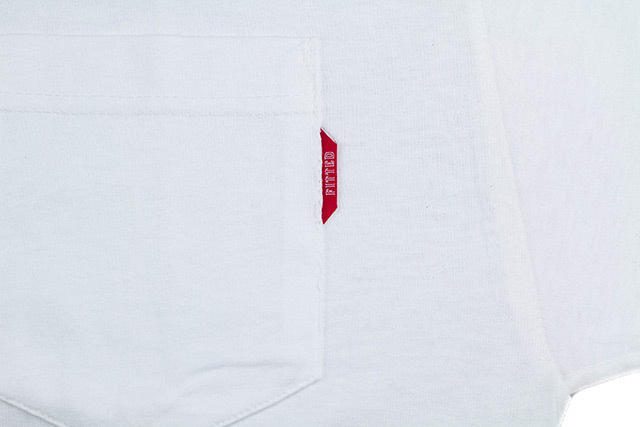 A clean pocket tee featuring a small red logo label stitched to the right of the pocket. 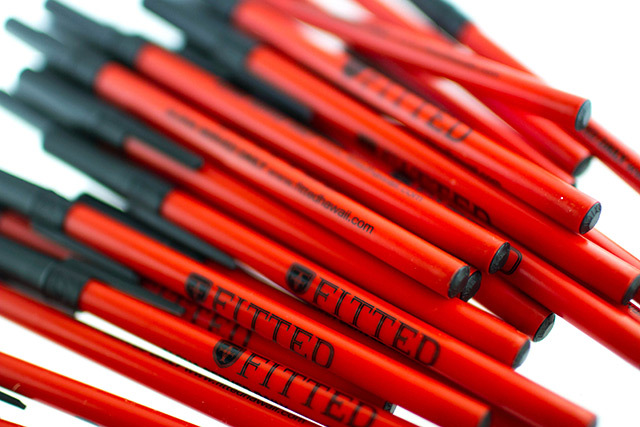 The classic BIC pen we all know and love with a red body and black cap, denoting the black ink inside. 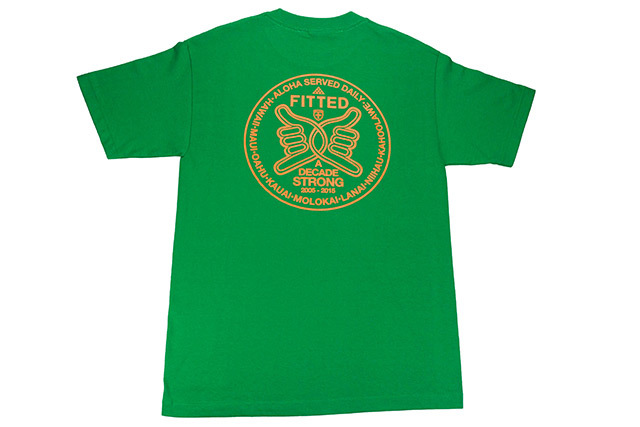 It also features our new logo down the side, along with our ASD motto and website. 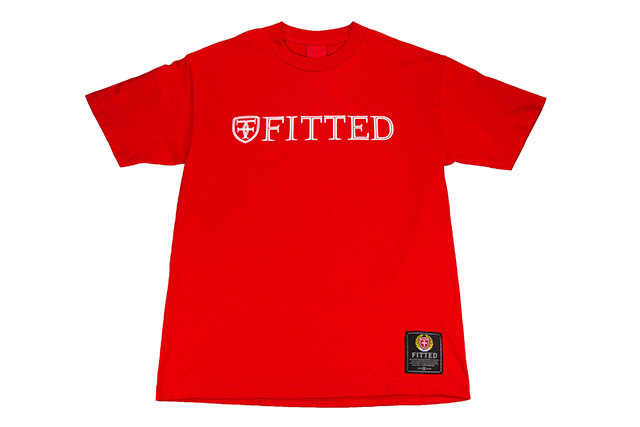 Releasing in-store and online this Saturday, October 17th at 11am HST. 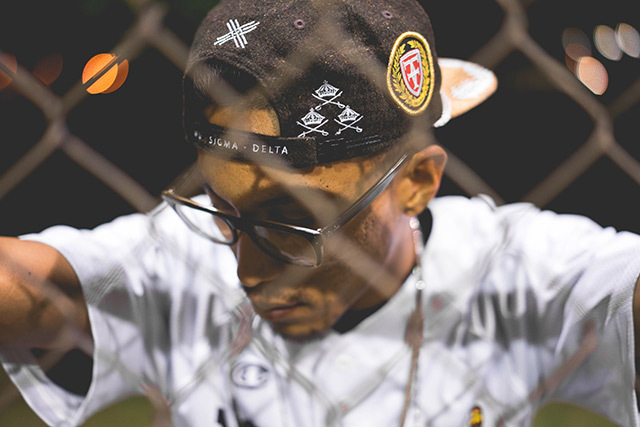 For the Umi A Ola collection, we unveiled two new patterns that would help accentuate our long-standing history as well as reveal a new beginning for ourselves. 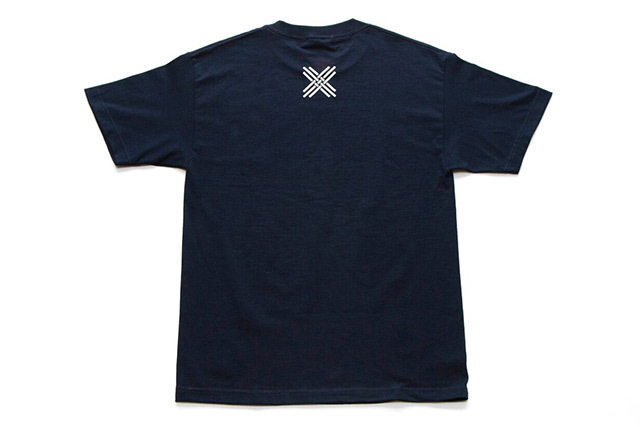 The Woven X pattern contains a stylized roman numeral X (10) and is inspired by makaloa and lauhala—materials used by master craftsmen for weaving. 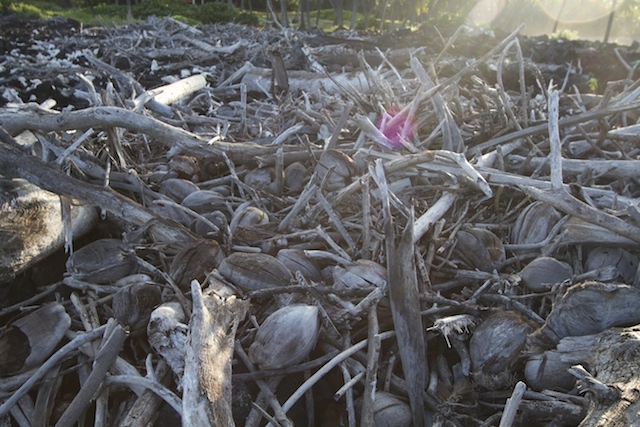 The deeper meaning behind the idea of weaving is the sense of togetherness, ʻohana, and community. Strong bonds woven together over time that can’t easily be broken. 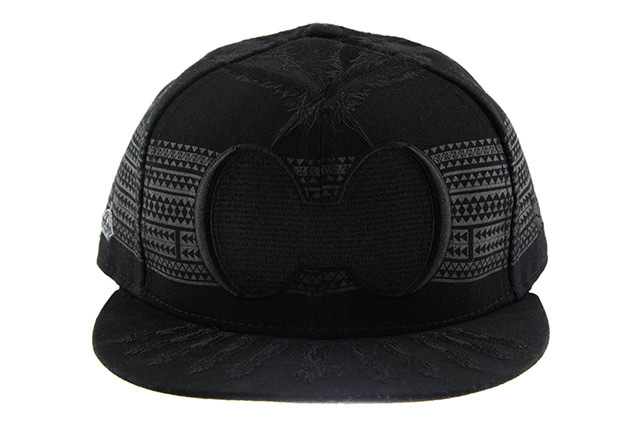 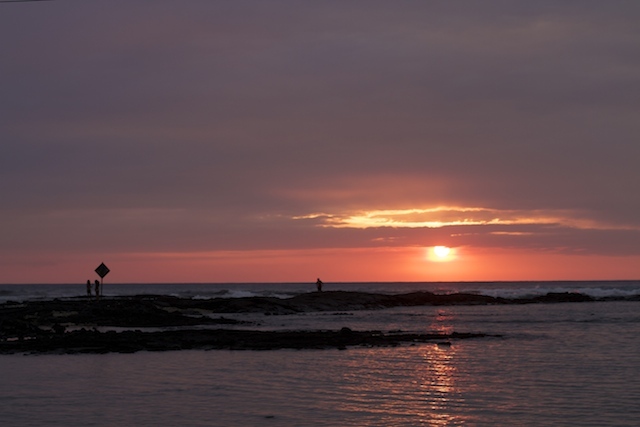 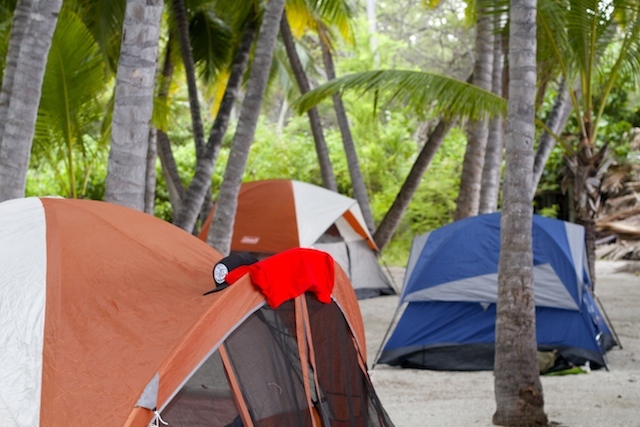 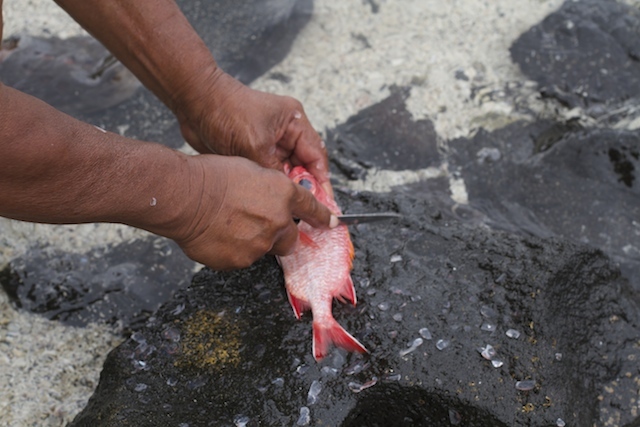 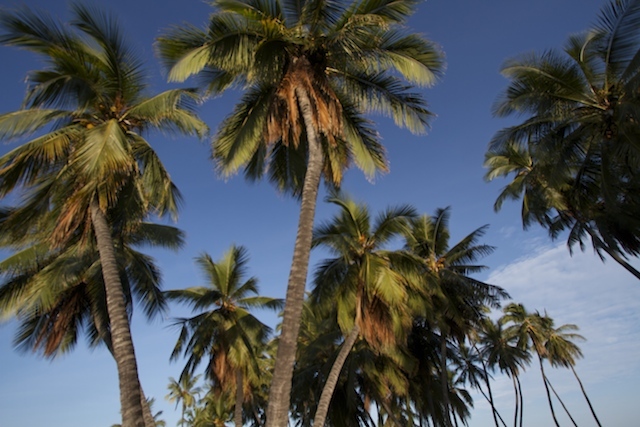 The Hulu pattern focuses on the ‘ahu ‘ula concept we mentioned in our first Umi A Ola post. 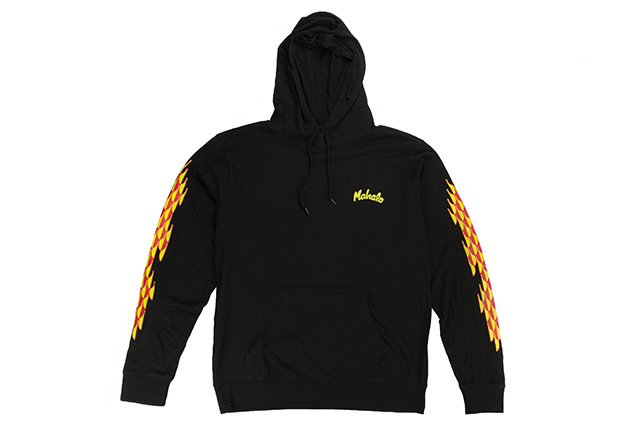 It contains stylized yellow and red feathers seen on various ʻahu ʻula, and it represents a new start as we peel back our yellow feathers and show the red feathers underneath—our koko (blood). 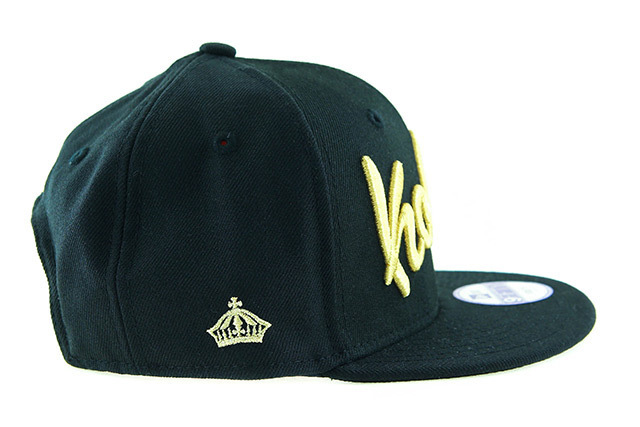 The very first New Era 59FIFTYs produced by FITTED back in 2006 consisted of two designs, the Kamehameha and H Pride. 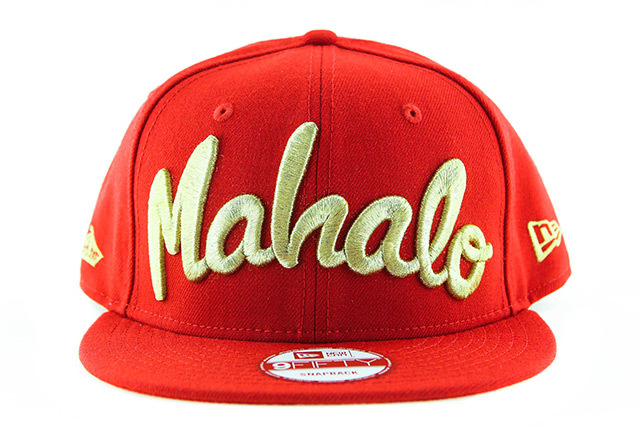 The Kamehameha design came in two colorways, red/gold and black/gold. 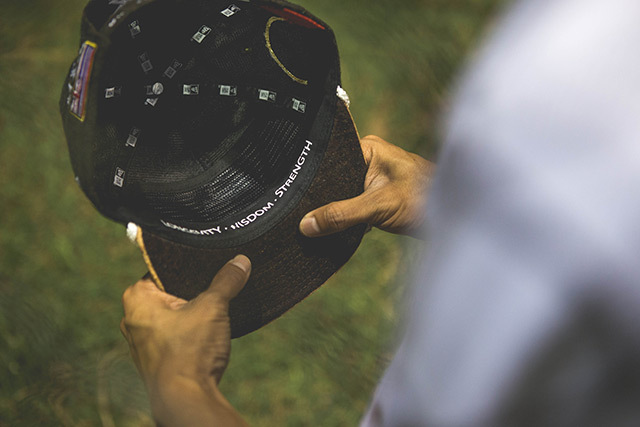 These have become largely revered over the years due to their rarity and their special place in our history as being the very first Kamehameha hats produced. 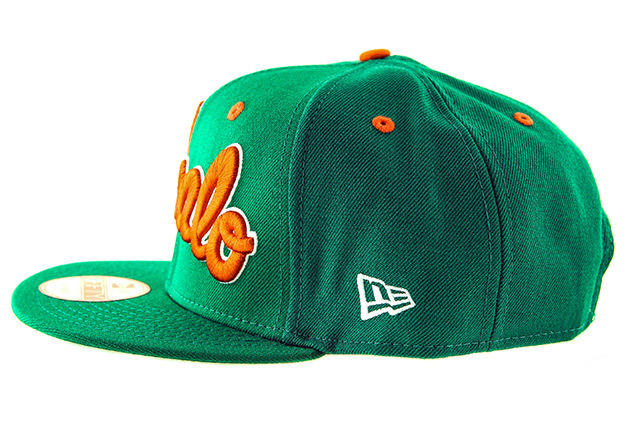 At our 5 year mark, we decided to re-release these colorways—along with the green/orange that appeared on the H Pride—but swapped with new front logos that we’ve become known for. 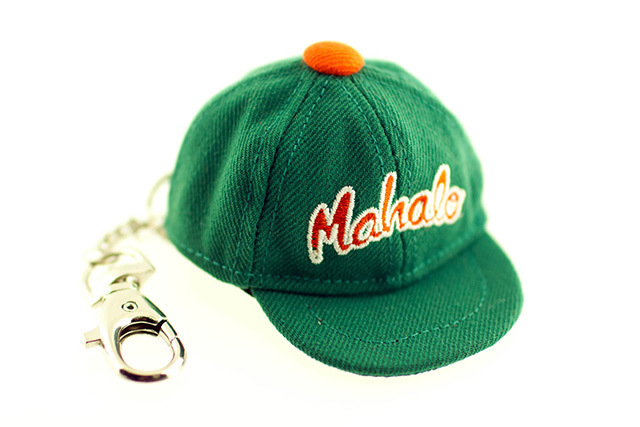 For our 10 year anniversary, we’re bringing back the original colorways yet again, but this time we wanted to use the Mahalo logo on all of them, as it’s perhaps our most meaningful design and we’d like to use it to mahalo everyone for their support over the years. 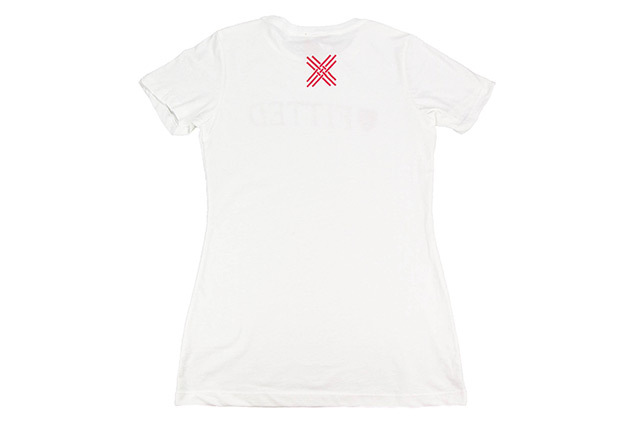 On the inside we’re showcasing our new Hulu pattern to represent our growth and the start of another 10 years. 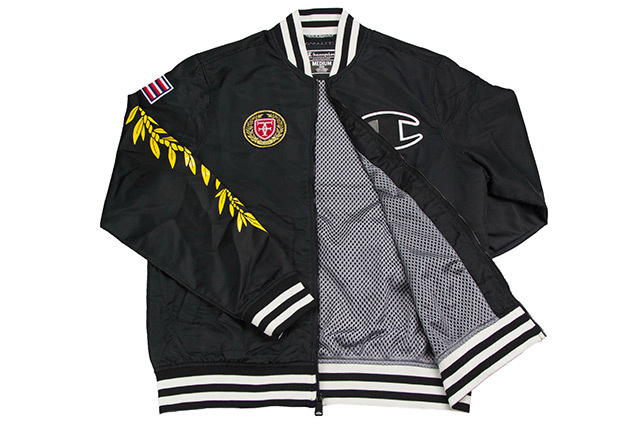 For our momentous 10 year anniversary, we partnered with Champion to bring you a co-branded lightweight satin zip-up jacket, made up of 100% nylon outer and 100% polyester mesh lining. 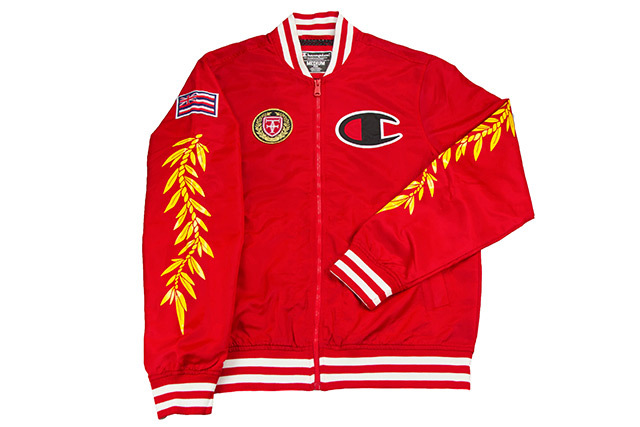 It features a large Champion “C” logo appliqué on the wearer’s left chest, along with our Umi A Ola embroidered patch on the right chest. 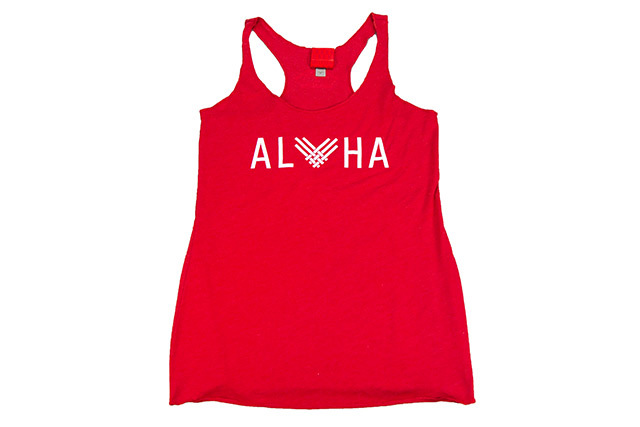 A Hawaiian flag patch is stitched to the right sleeve, with a maile lei design printed below on both sleeves. 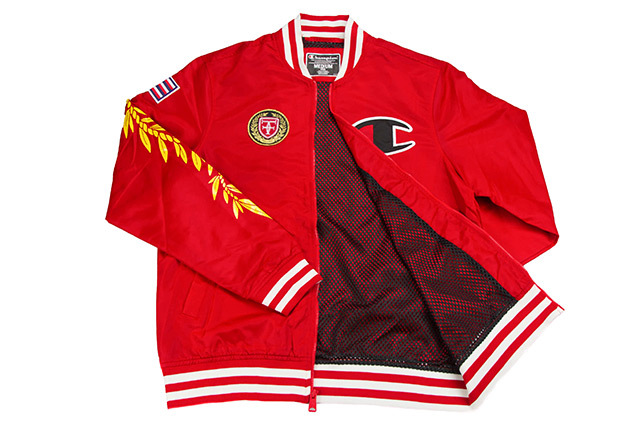 A small reflective Champion “C” logo is embroidered on the bottom of the left sleeve. 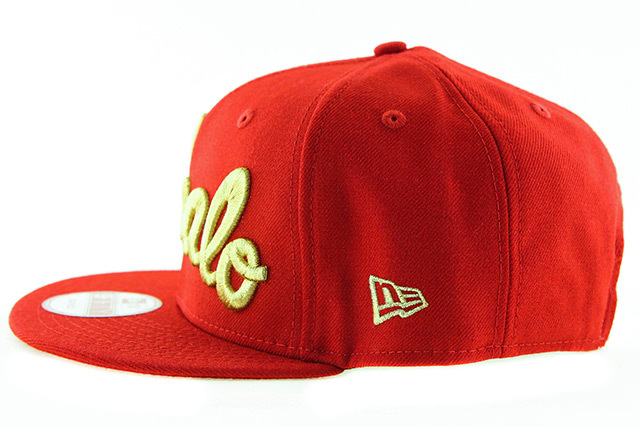 The back features various FITTED logos and 10 year marks down the center, with Champion’s logo at the top. 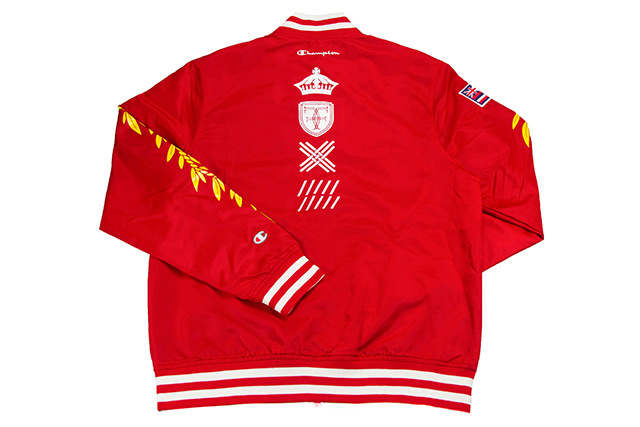 NOTE: The red FITTED + Champion Umi A Ola Satin Jacket will be an online exclusive. 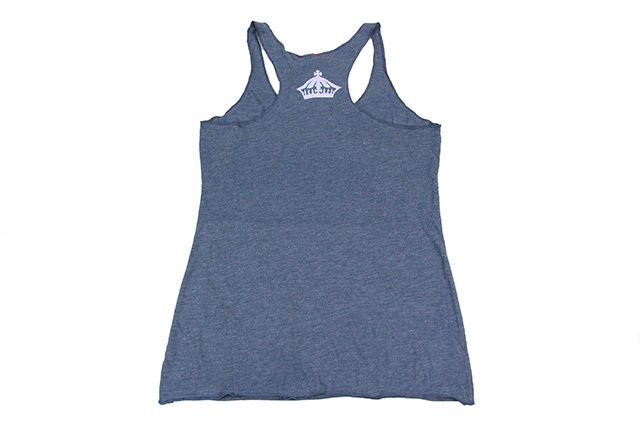 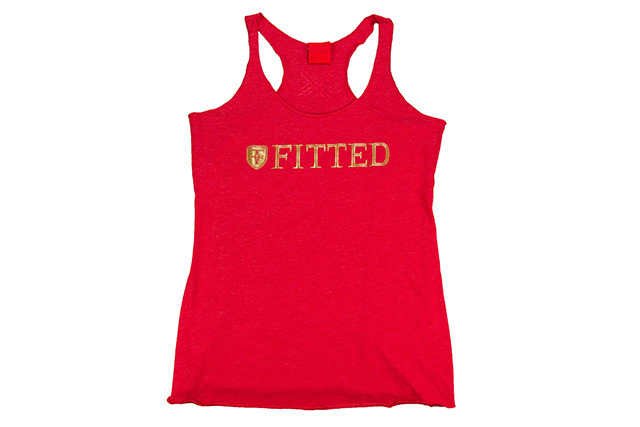 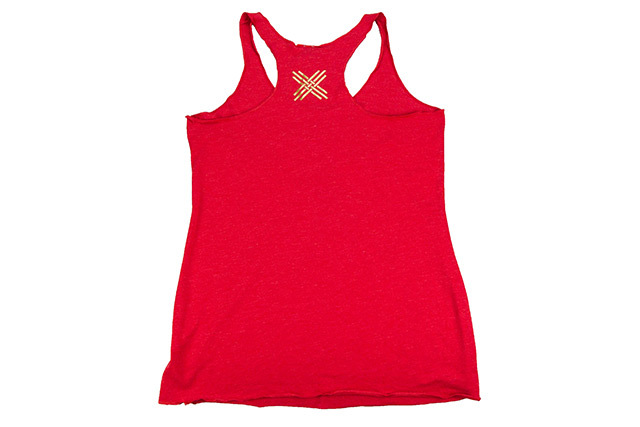 Our updated logo is featured on these women’s tanks and tees, with the woven X logo on the upper back. 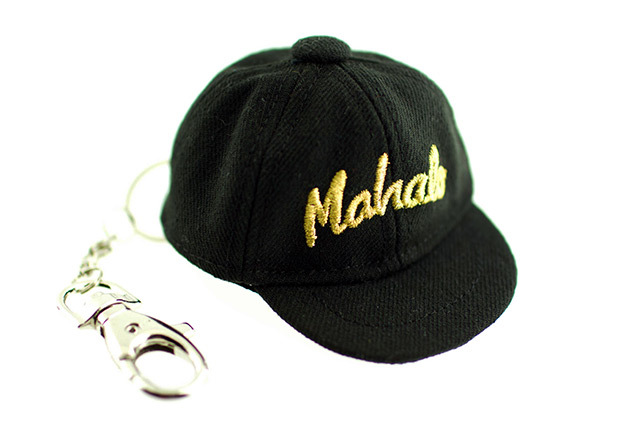 To coincide with the release of the Mahalo snapbacks, we will also be releasing miniature versions as 59FIFTY keychains, complete with New Era taping and our new red FITTED tags on the inside. 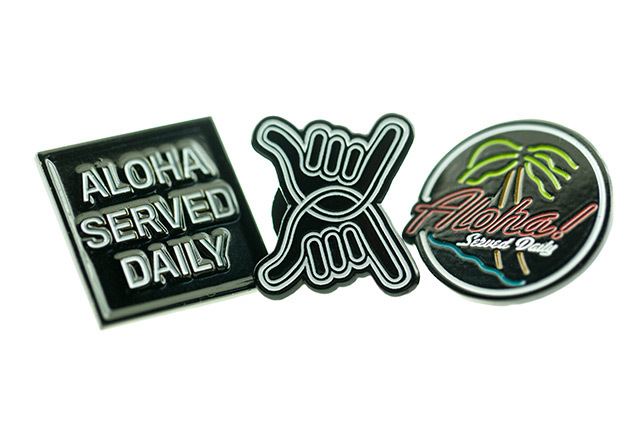 Releasing in-store and online this Tuesday, October 13th at 11am HST. 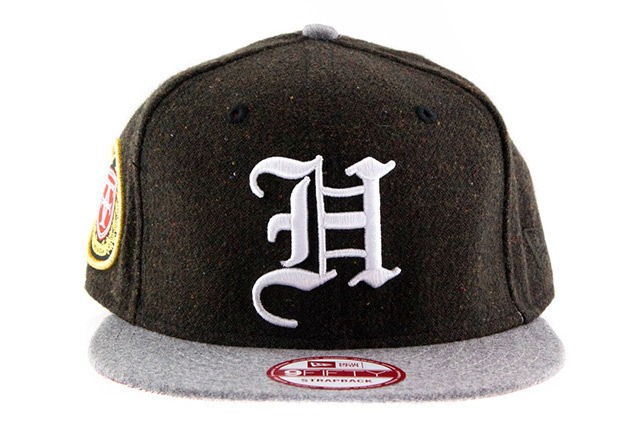 This clean H Pride features a soft wool/viscose blend, with deep red on the crown and gray on the top button and visor. 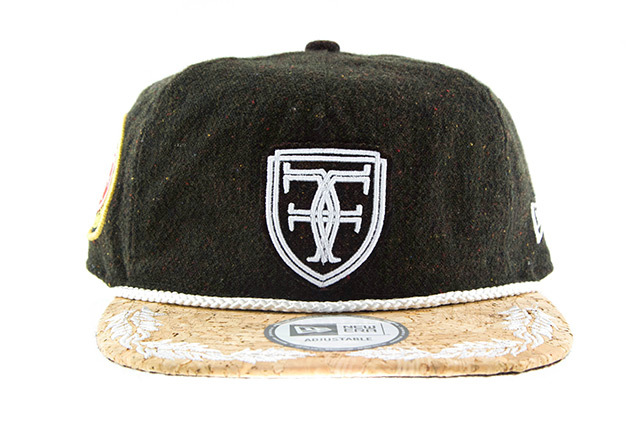 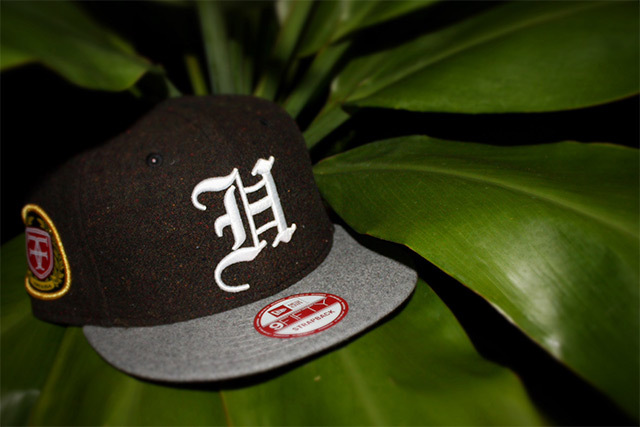 A white H Pride logo is seen on the front, along with a white woven X logo in the back near the black leather strap. 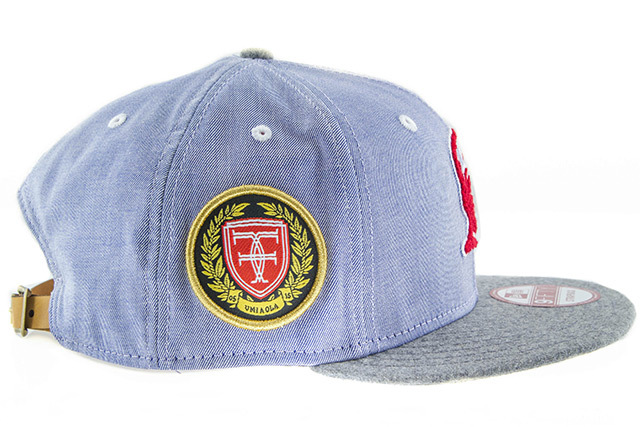 The New Era logo and new FITTED crest are subtly featured in tonal colors, while the Umi A Ola patch stands out on the right side. 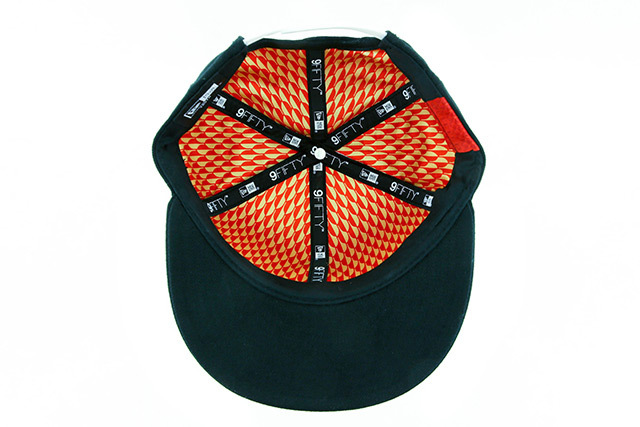 The inner satin lining showcases the woven pattern in black and red. Two more A10ha tees featuring the new logo on the front filled with the woven pattern. 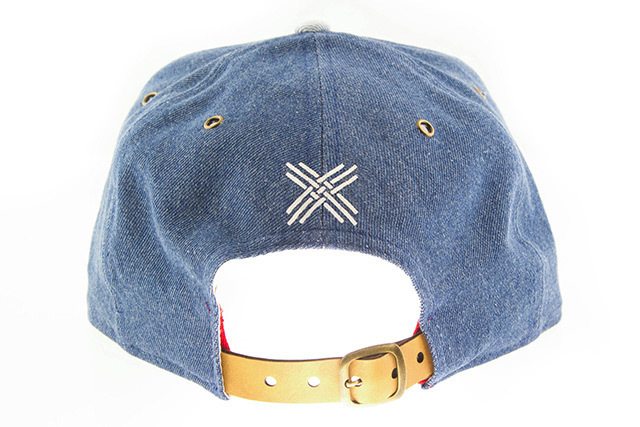 On the back is the woven X mark, and our new 10 year patch is seen on the bottom front. 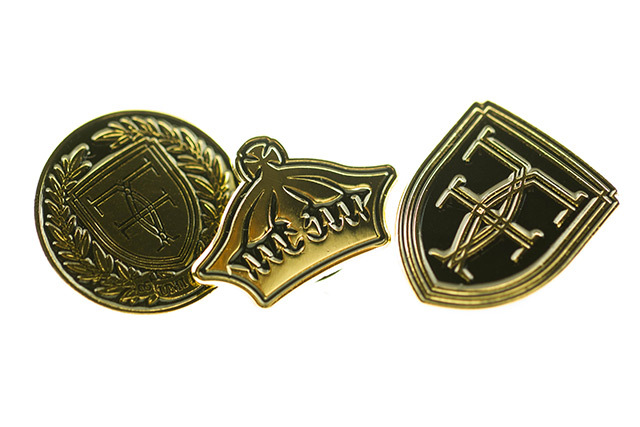 Six of this season’s logos and designs were crafted into small sets of pins, with three in gold and three in black. 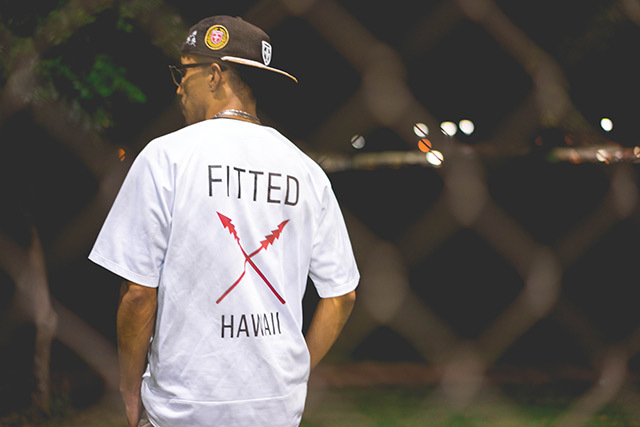 Releasing in-store and online this Saturday, October 10th at 11am HST. 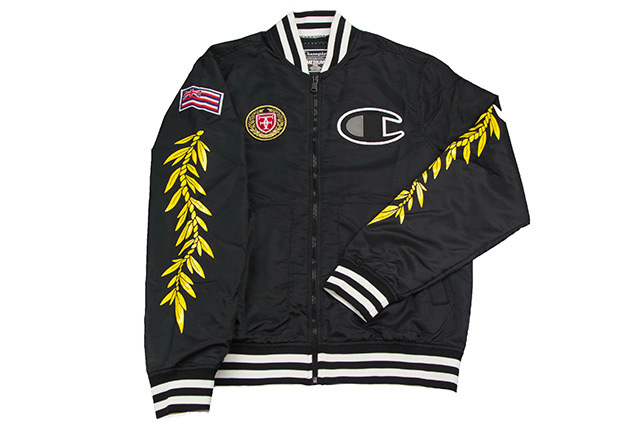 The standout feature on this Kamehameha is the chenille appliqué treatment on the front logo, which resonates with the classic, regal look of letterman jackets. 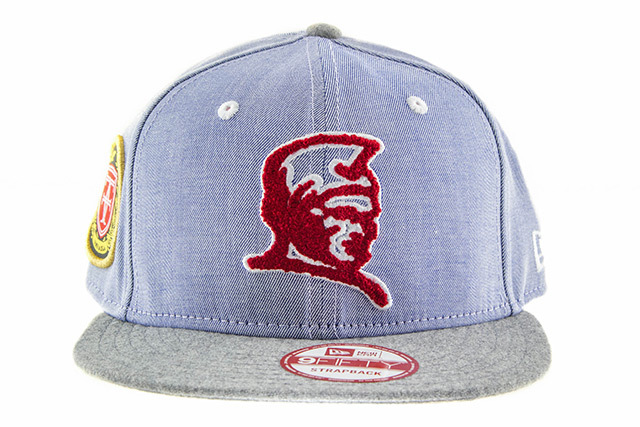 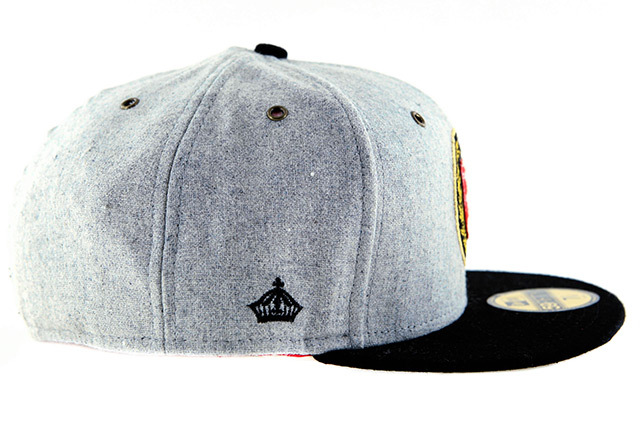 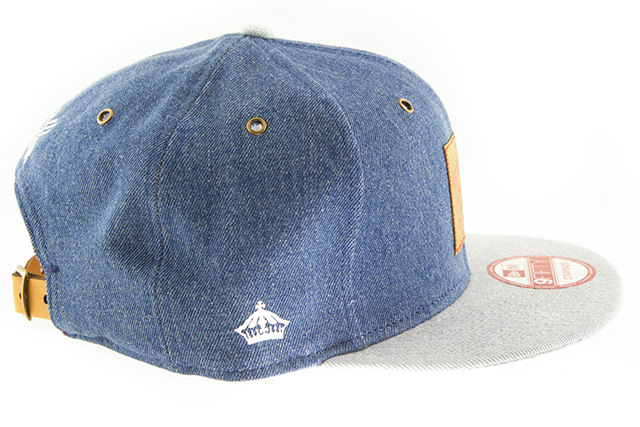 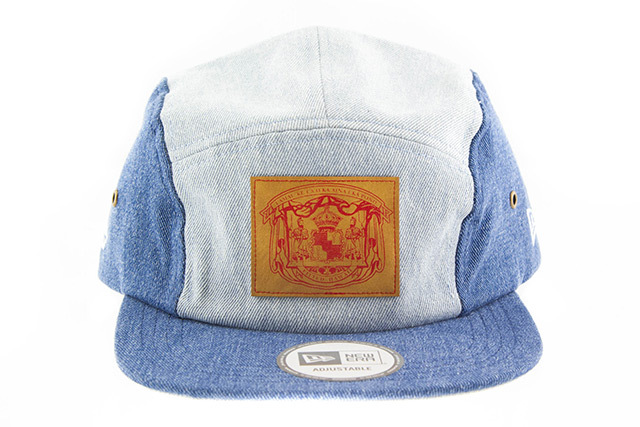 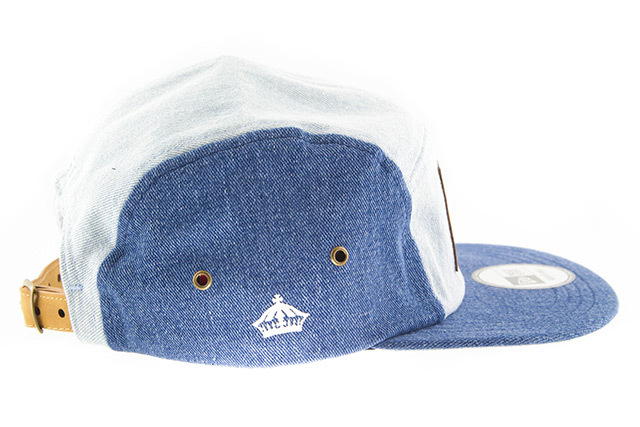 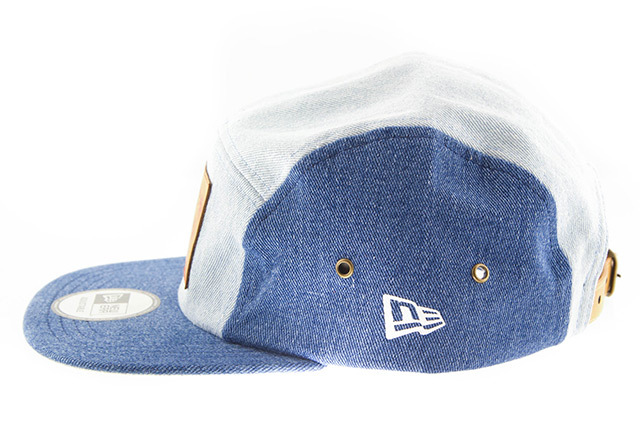 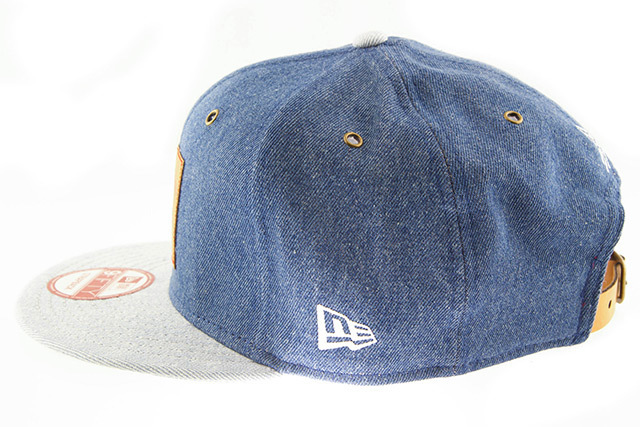 The crown is a light blue chambray, with white eyelets, side New Era logo, and back X logo. 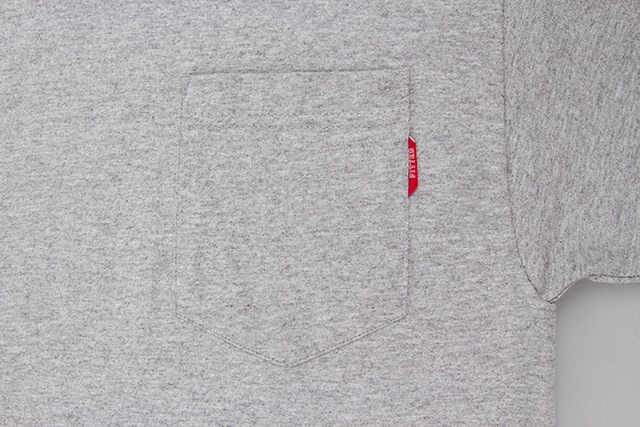 The Umi A Ola patch is displayed prominently on the right side. 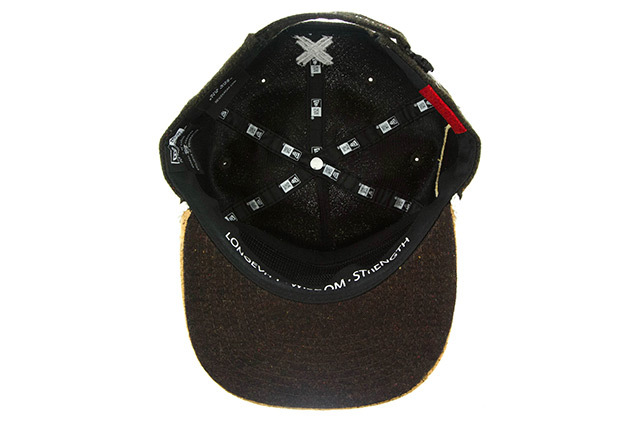 Gray wool is used on the top button and visor, while the back strap is made of brown leather with a brass buckle. 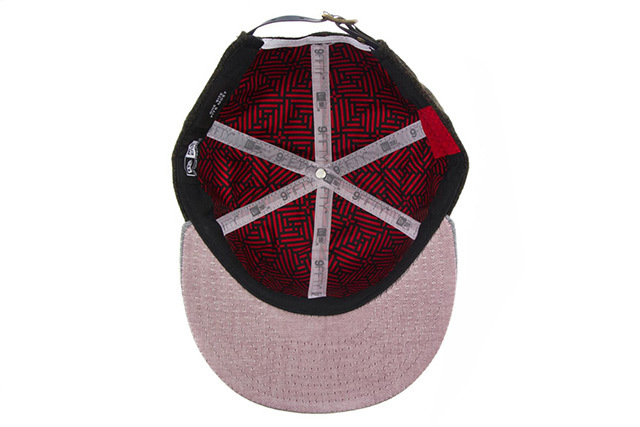 The inner satin lining features the new woven X pattern. 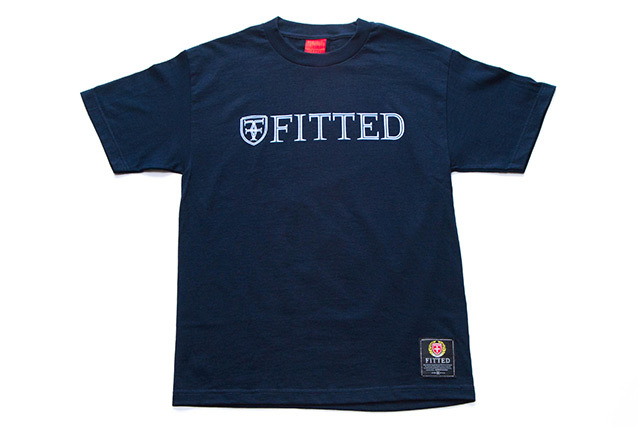 Our new Who The Crown Fits tee, using the new branding and releasing in navy and red. 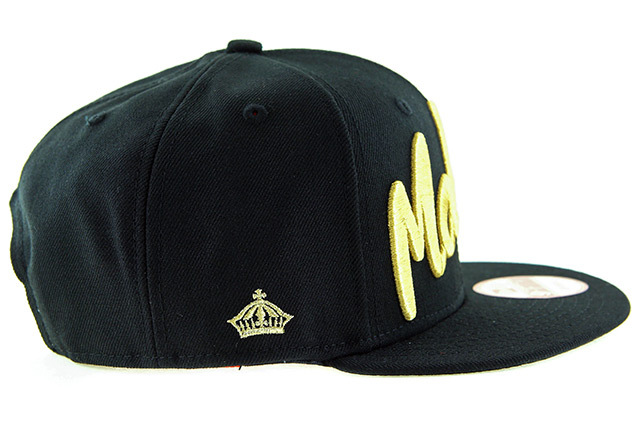 The back features our traditional crown on the upper back. 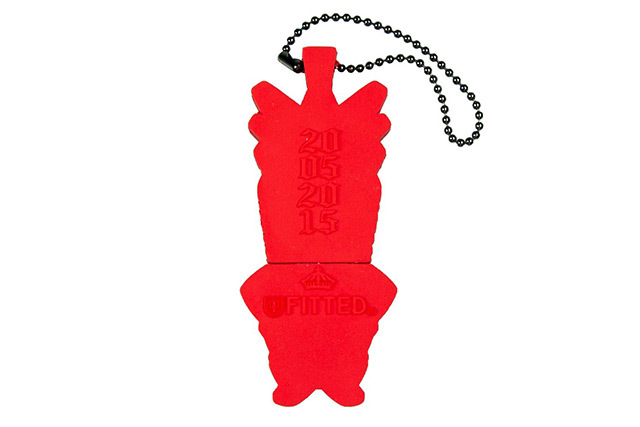 A follow up to our black Kū USB Drive from 2012’s Black Friday celebration. 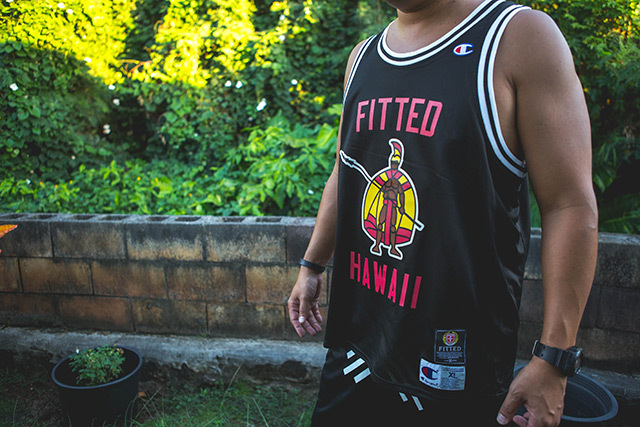 Featuring the statue of Kūkaʻilimoku, the god of war, on the front with 2005, 2015, and FITTED branding on the back. 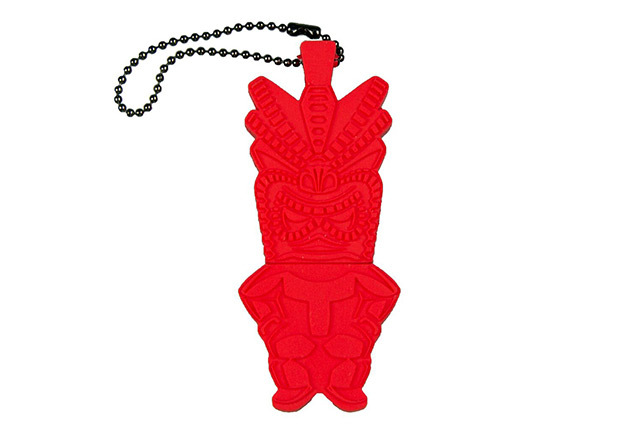 This time around the USB drive is red, much like the feathered Kū statue on display at Bishop Museum, which is said to be King Kamehameha’s god image. 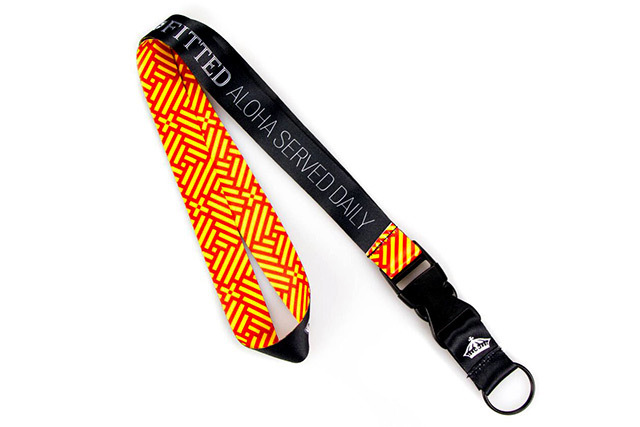 A new lanyard for our Umi A Ola collection, featuring our new branding on one side and woven X pattern on the other. 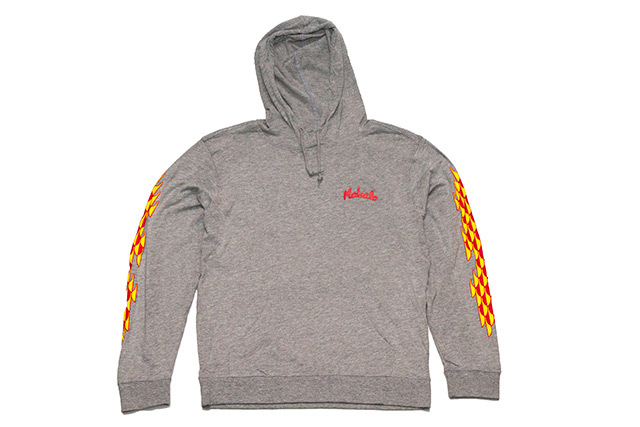 Releasing in-store and online this Tuesday, October 6th at 11am HST. 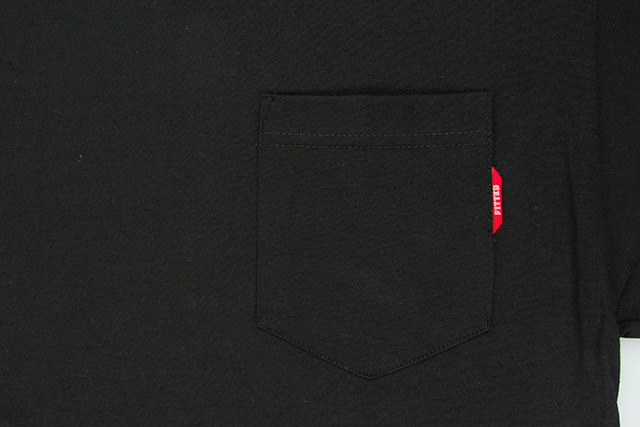 We continue celebrating our ten year anniversary with our Umi A Ola collection, in which we aim to showcase our growth and dedication to our craft through use of premium materials and rich, timeless aesthetics. 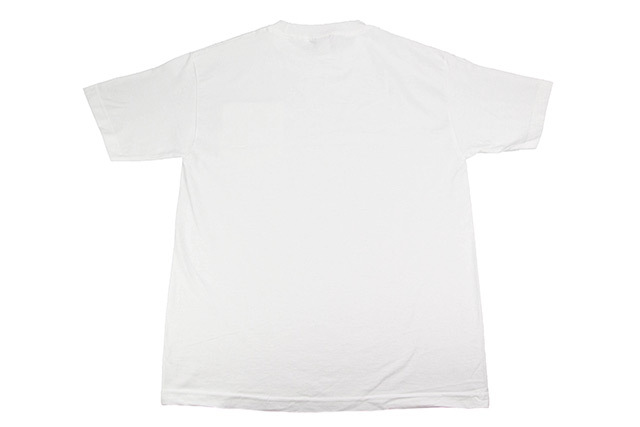 Also in line with our ten year anniversary, we’ve developed a new core branding package that helps mark this pivotal moment in our brand’s existence. 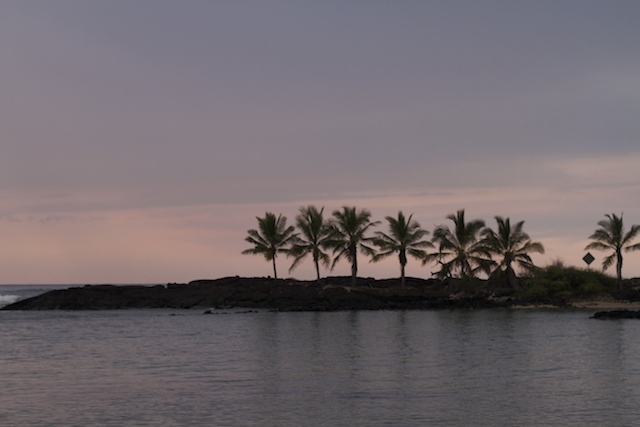 As we usher in the next phase of our journey, we want to mahalo everyone for their continued support. 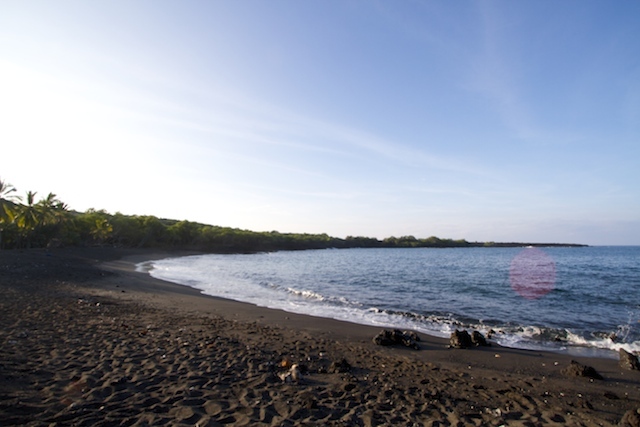 We humbly and truthfully feel that the ten (umi) years before us and the ten years ahead give us life (ola). 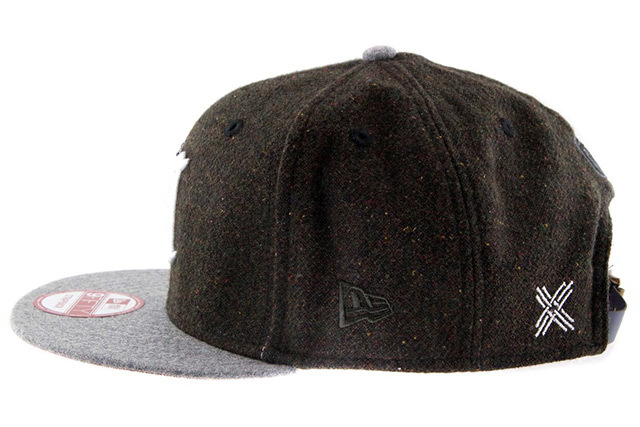 Featuring our new Umi A Ola patch prominently displayed on the front two panels of this wool/viscose blend 59FIFTY. 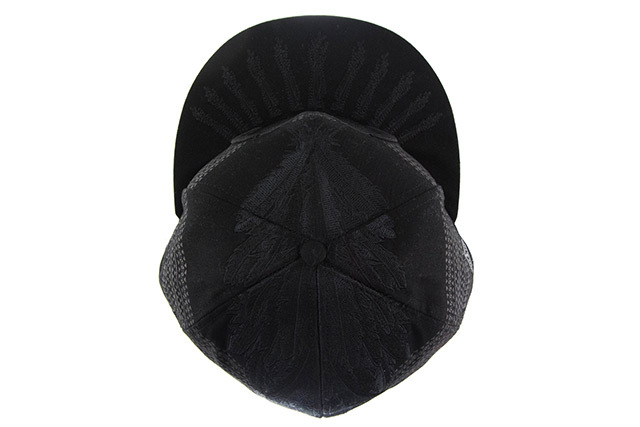 The base is gray while the visor, top button, and side/back embroideries are all black. 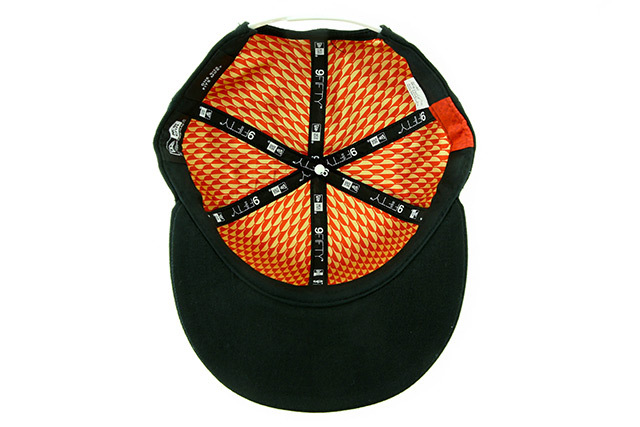 Other details include brass eyelets, a red satin sweatband, and our new Hulu pattern on the inner liner, which is an abstract representation of the yellow and red feathers that make up the ʻahu ʻula (feather cloak) that many aliʻi wore. 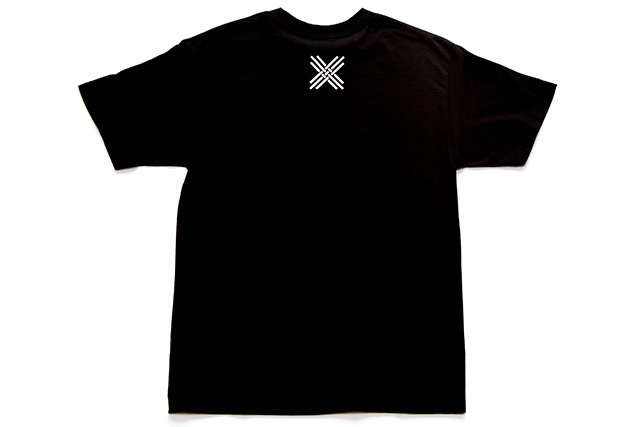 Our new A10ha logo is seen on a black tee with the woven X pattern filled in. 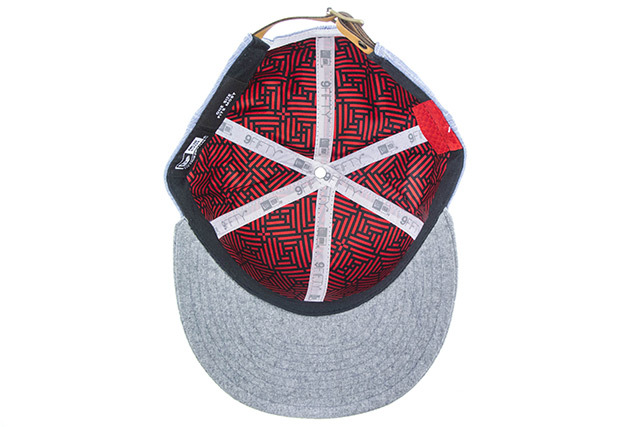 The lower right front showcases the 10 Year label while the upper back has the woven X mark printed in white. 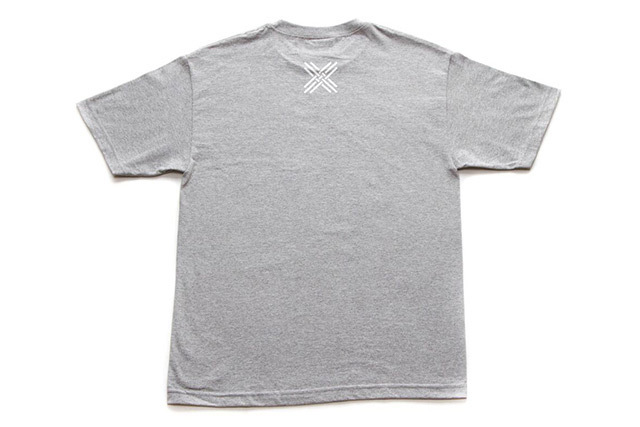 A new lightweight build featuring 65% cotton and 35% polyester, this long sleeve tee also contains a hood to keep your head warm in the cooler months ahead. 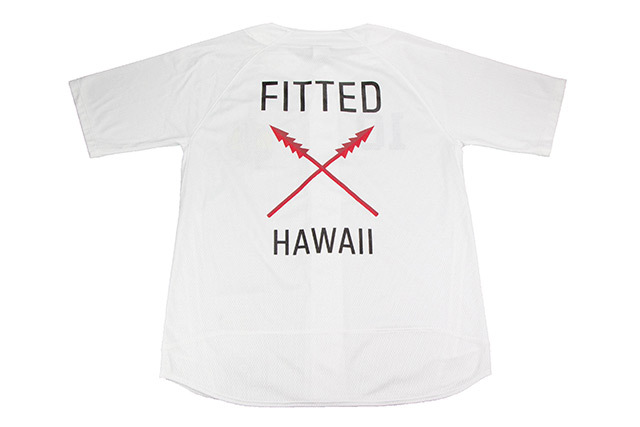 Our Mahalo logo is seen in red on the upper right chest, along with our new Hulu pattern flooding the outer sleeves. 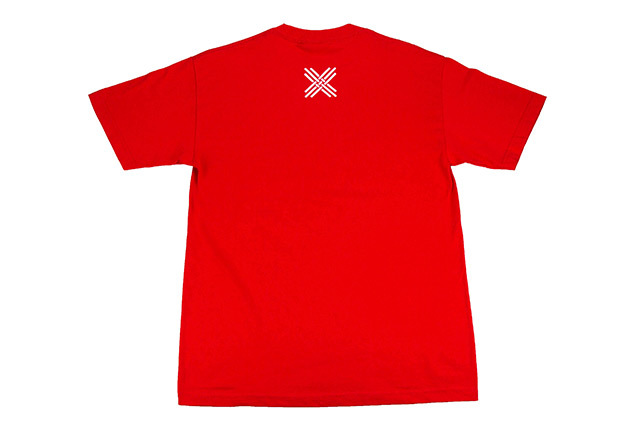 The woven X logo is printed in red on the upper back. 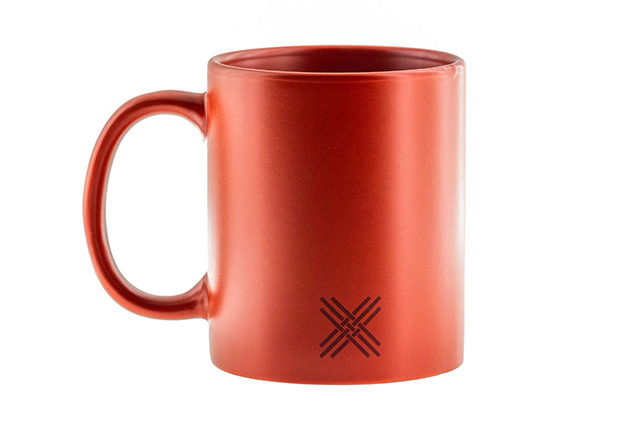 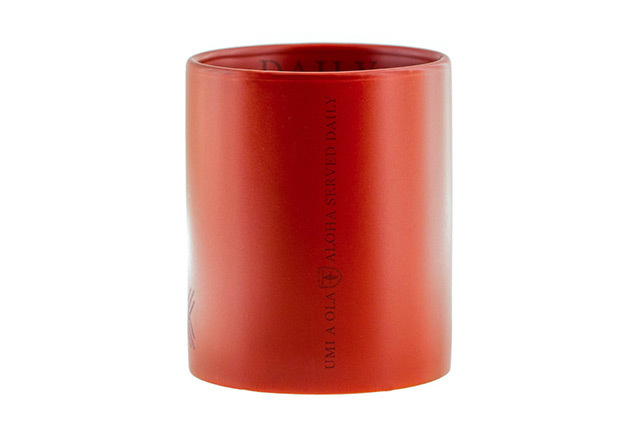 This one’s for all the coffee and tea drinkers out there—our first ever ceramic mug cast in red. 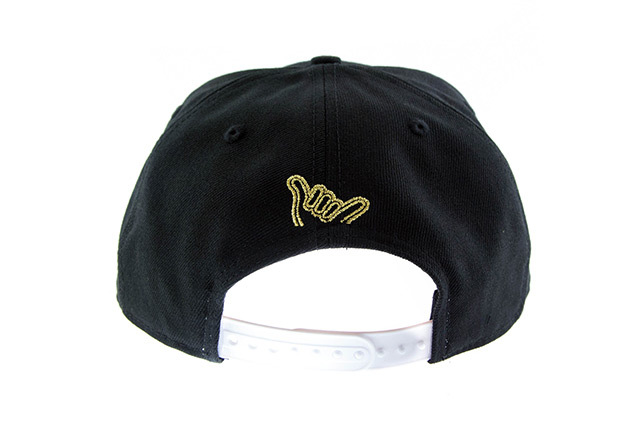 It features our new branding scattered throughout, including the inside and on the bottom.